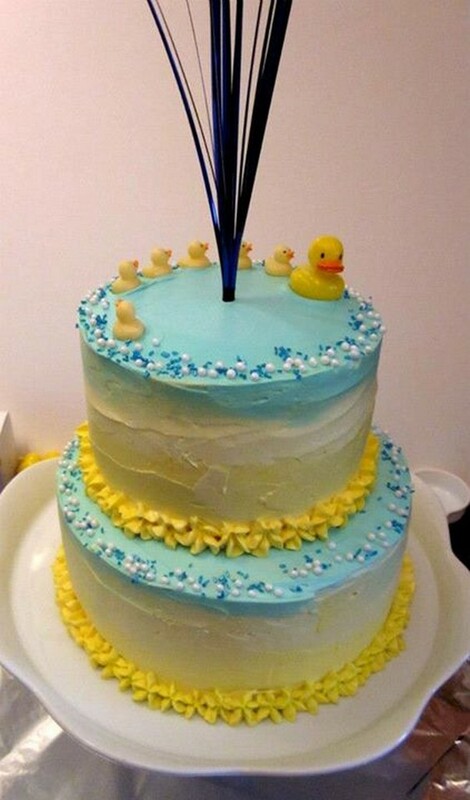 I baked this duckie themed cake for a friend’s baby shower! 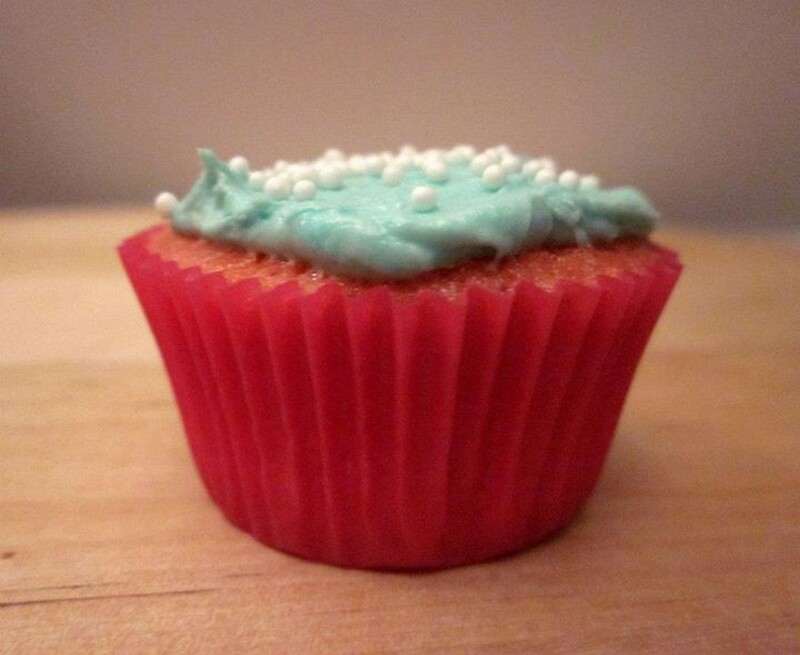 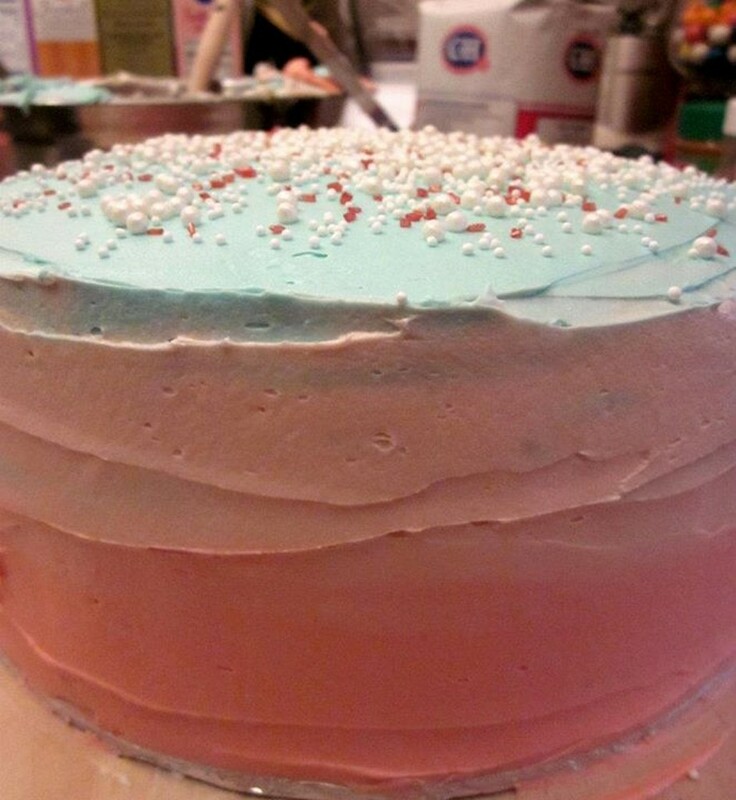 Once again, I used one of my favorite frosting techniques from Sweetapolita. I found the “Mamma” duckie at a party store, and borrowed the other “baby” duckie magnets from a friend. 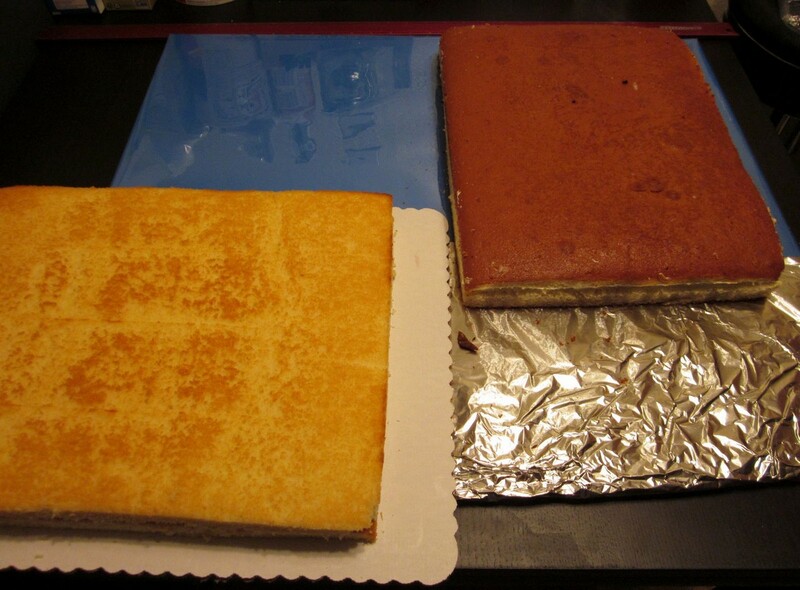 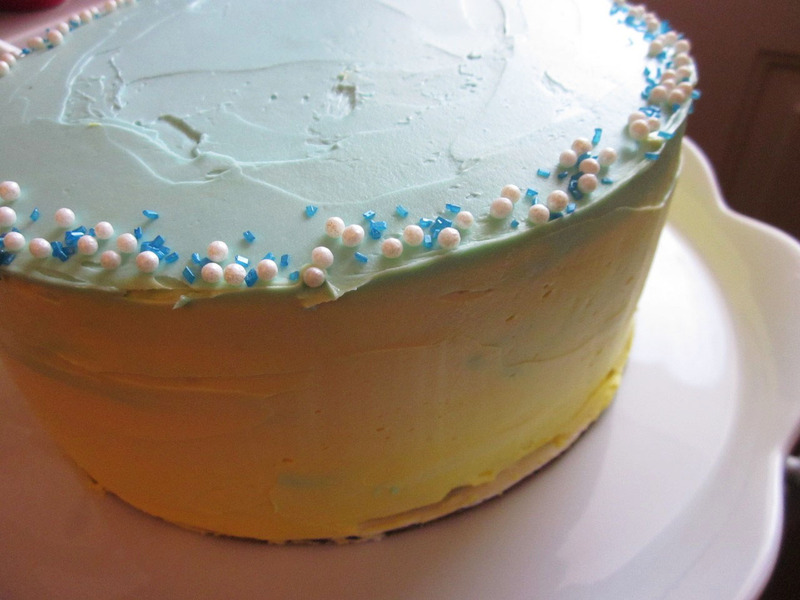 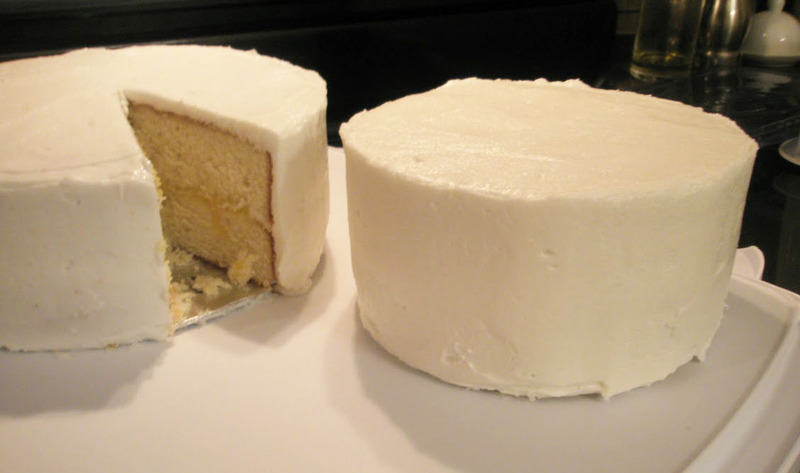 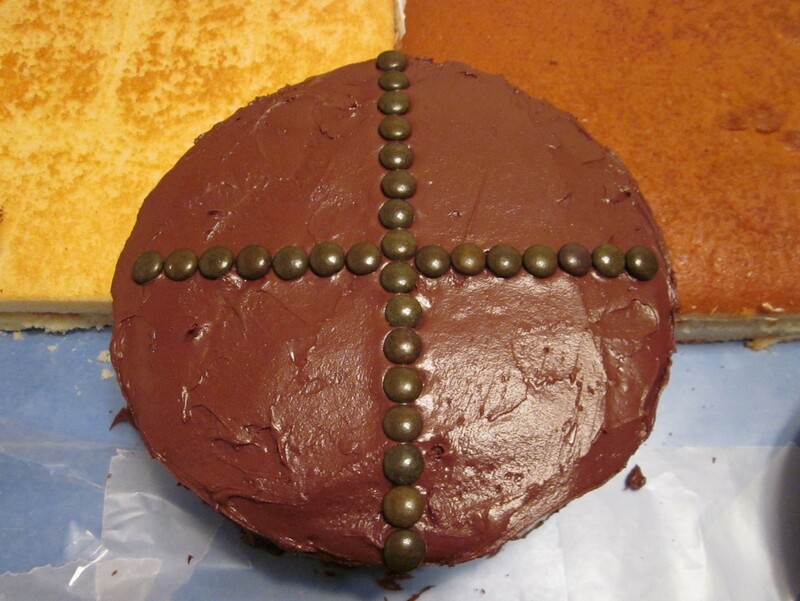 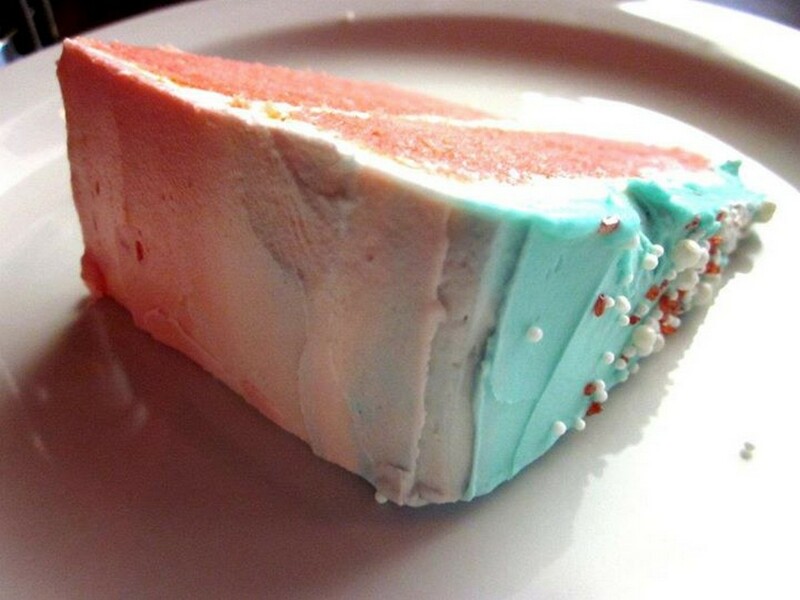 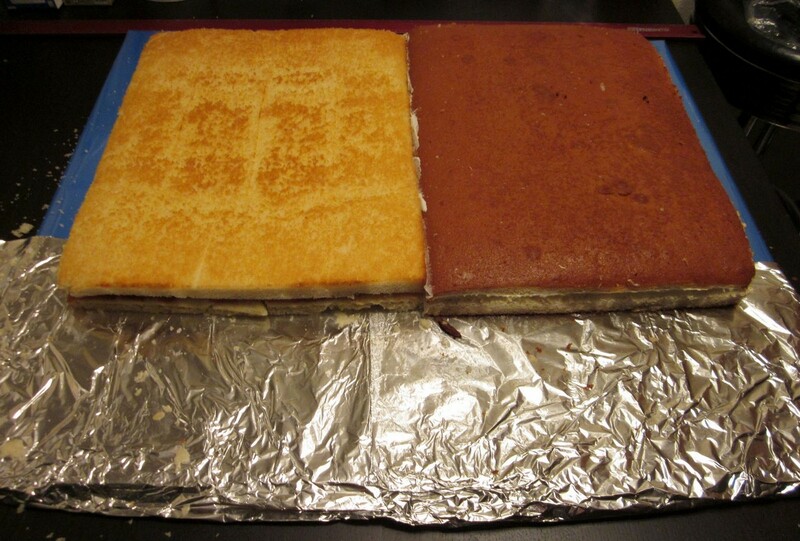 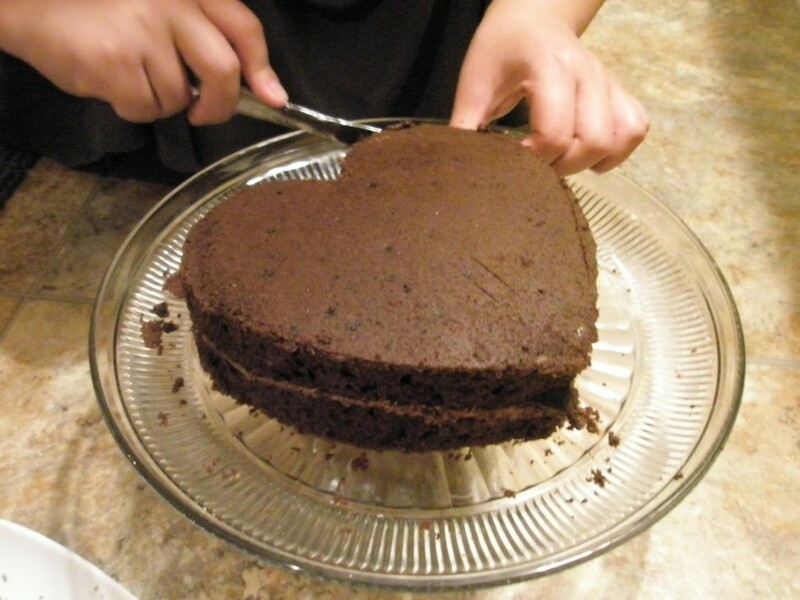 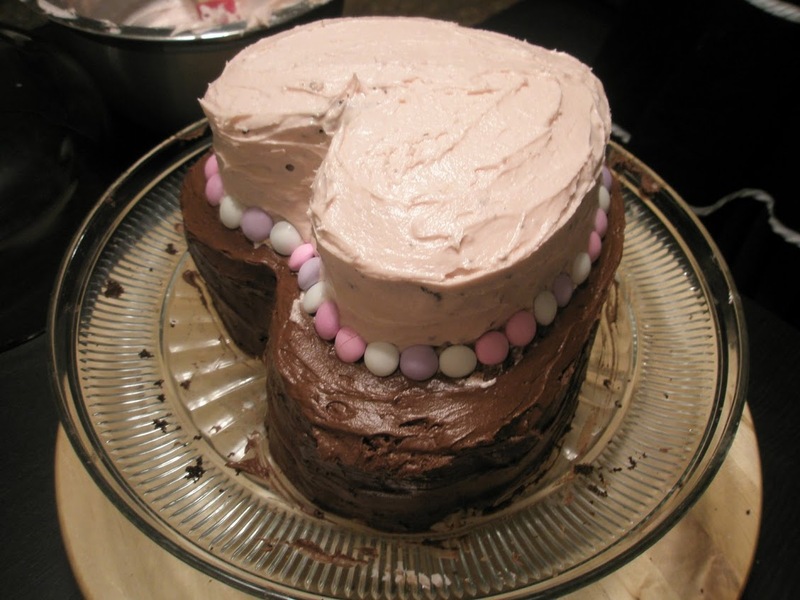 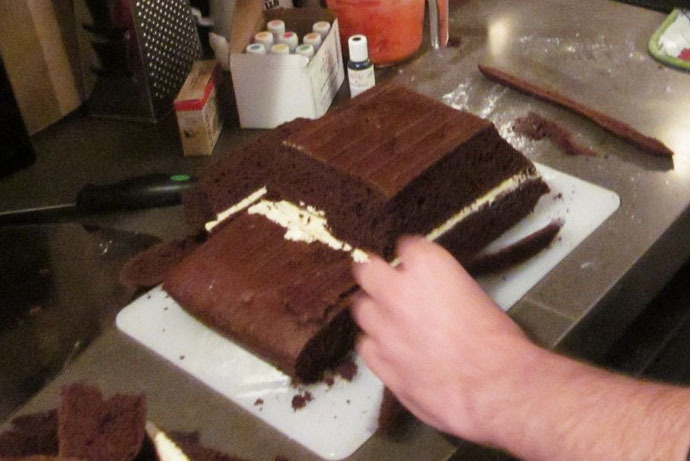 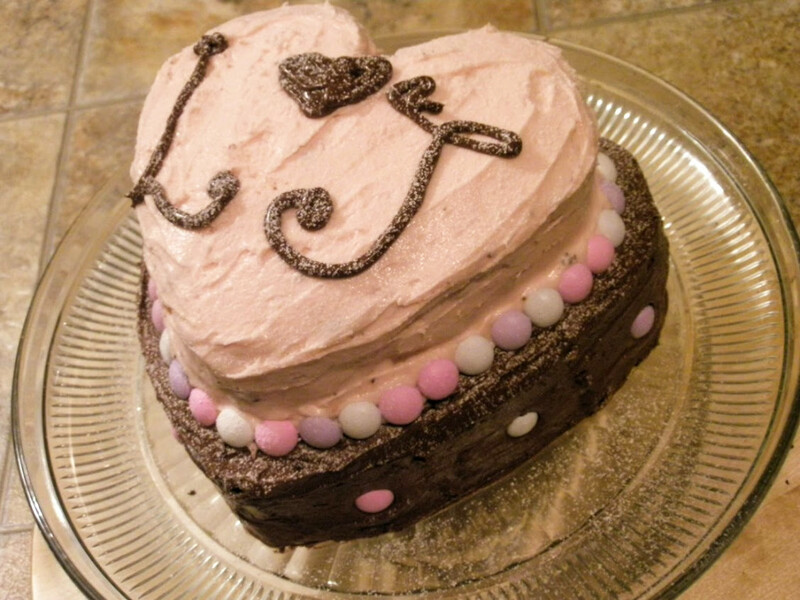 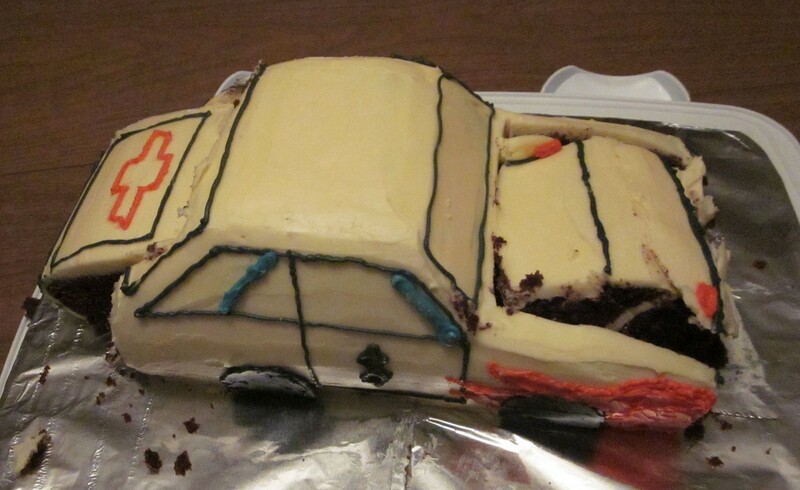 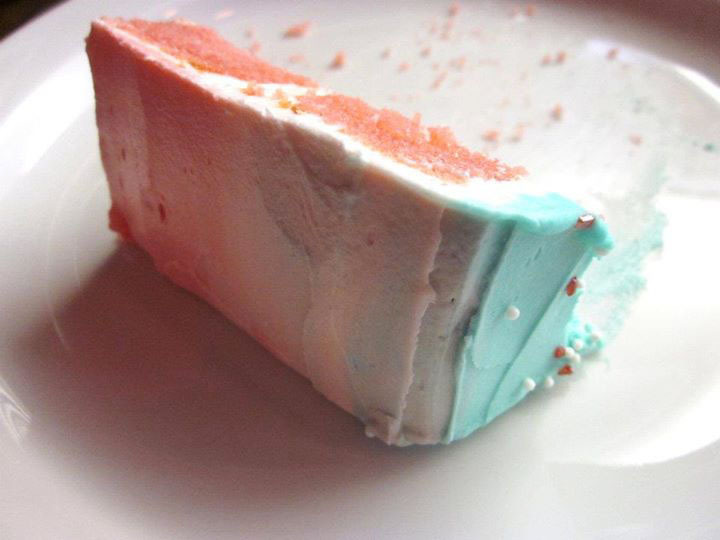 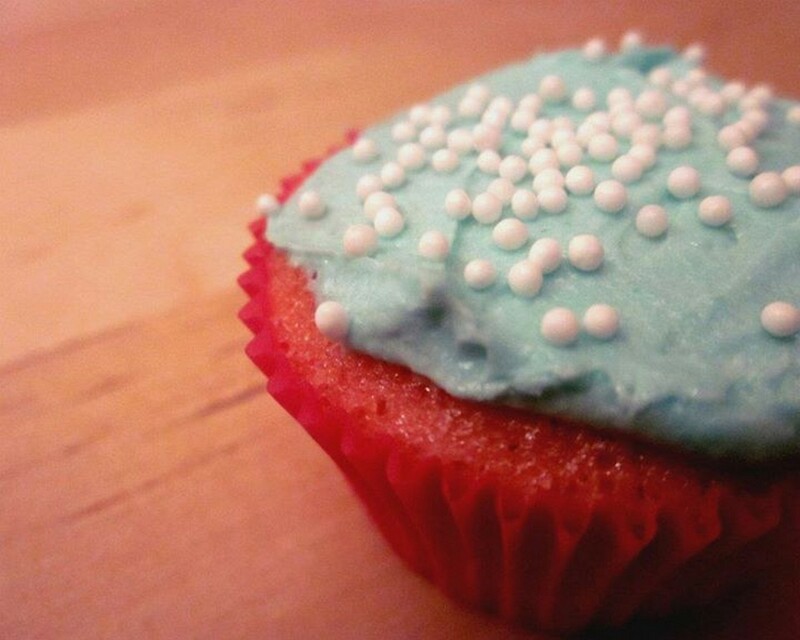 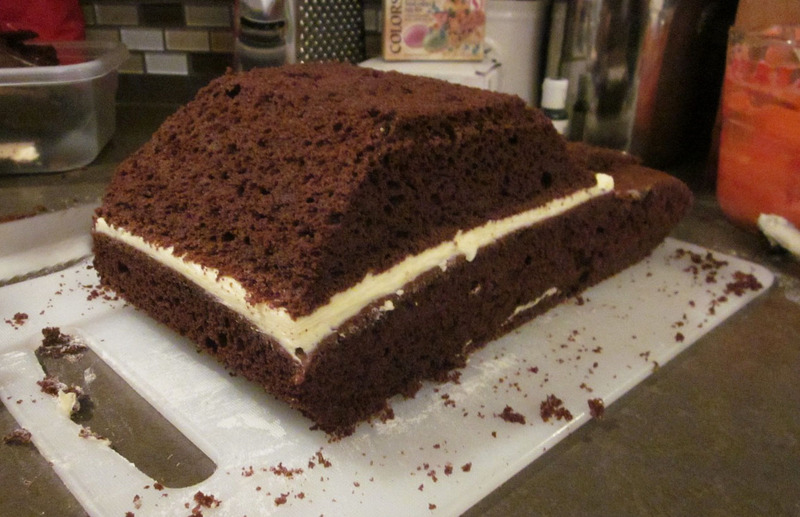 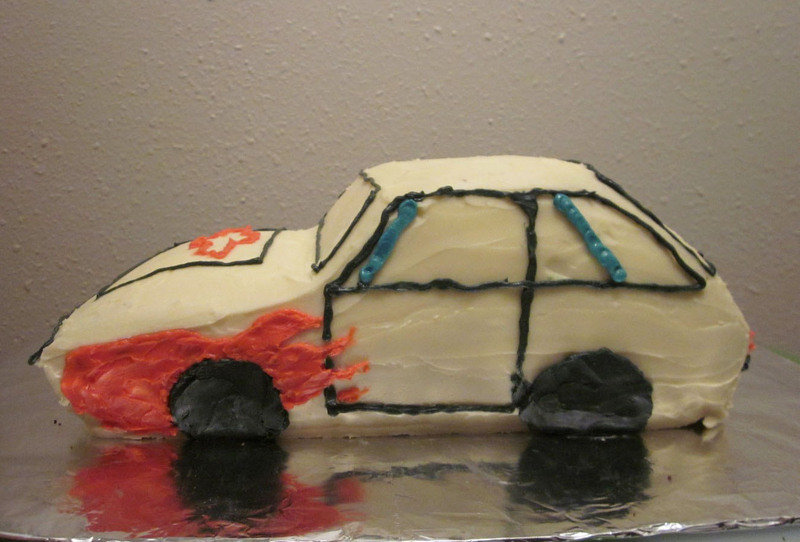 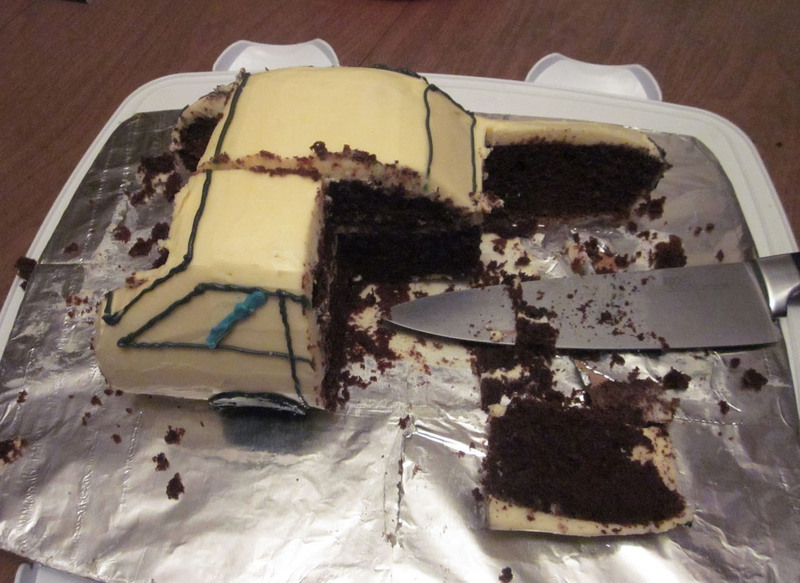 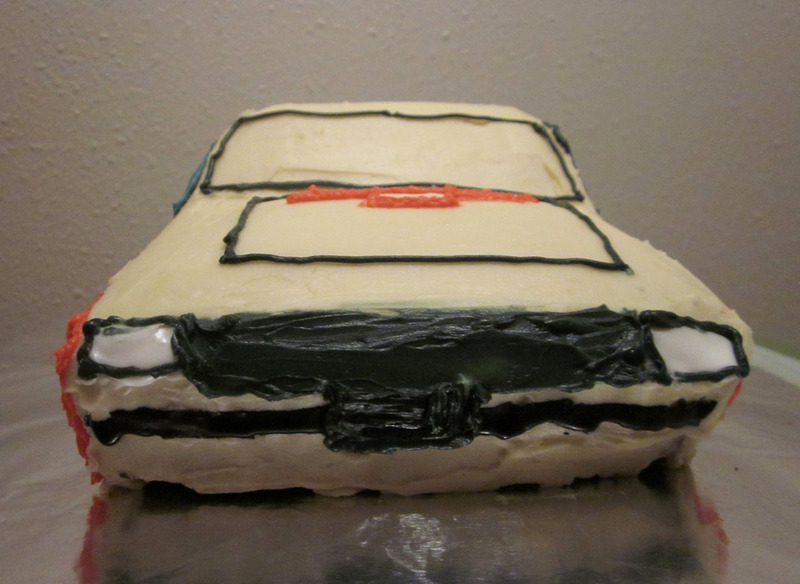 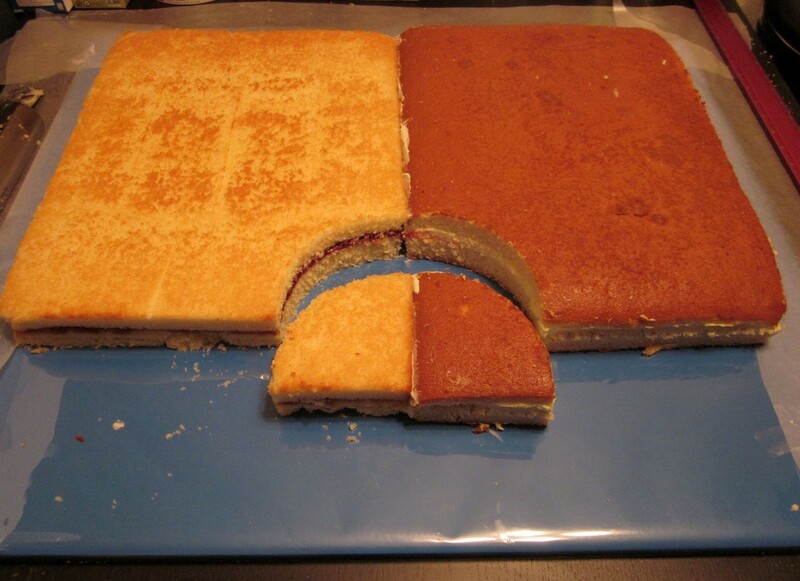 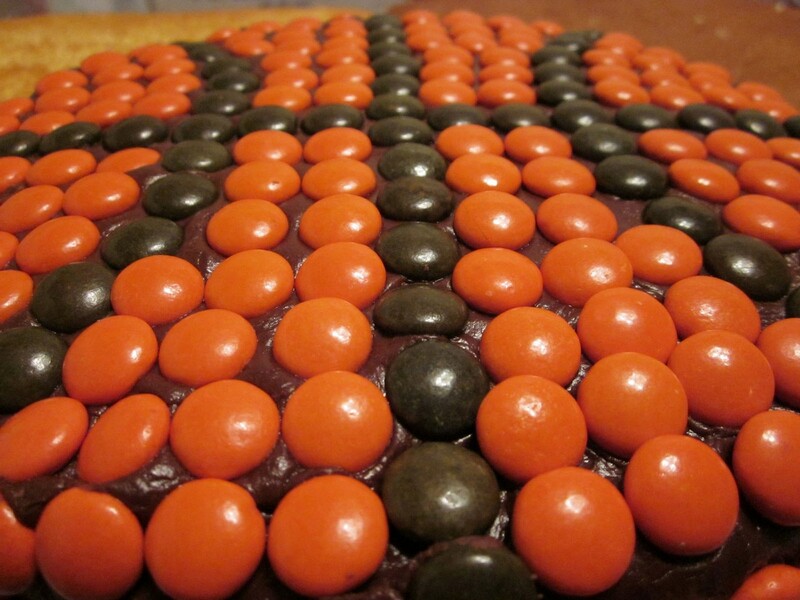 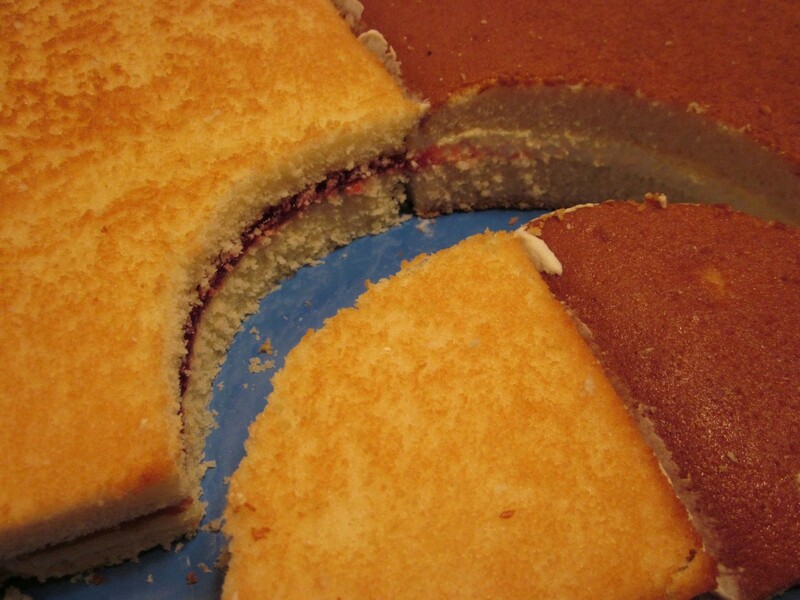 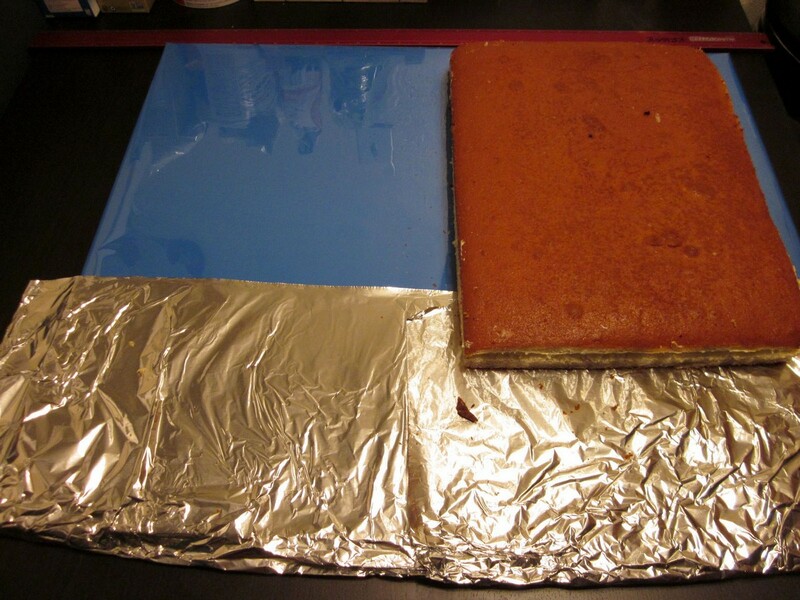 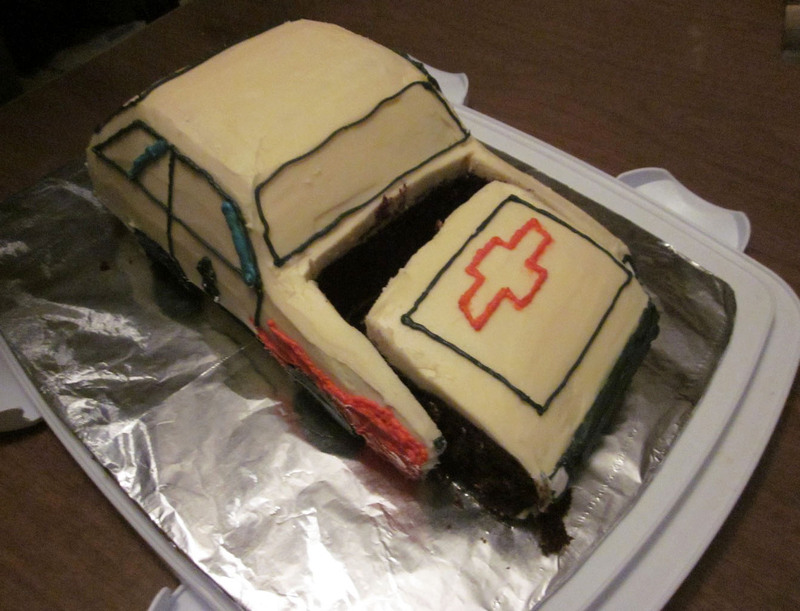 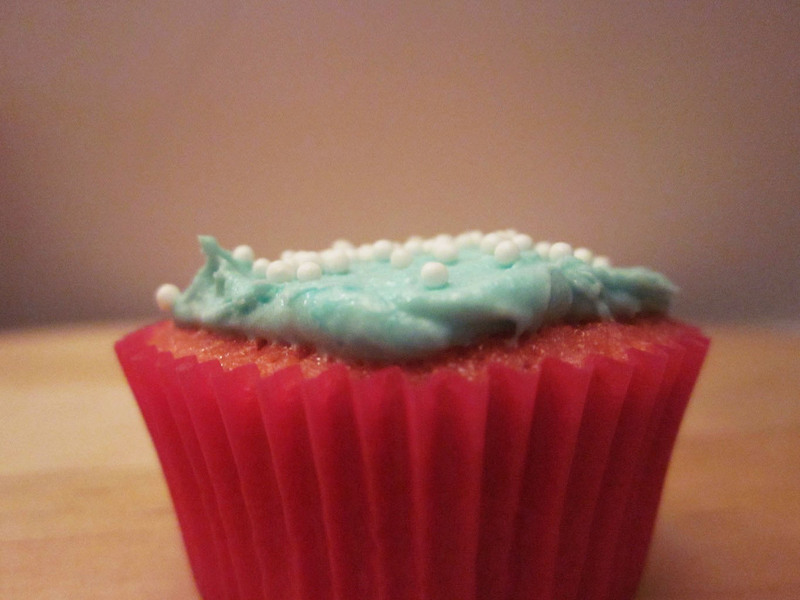 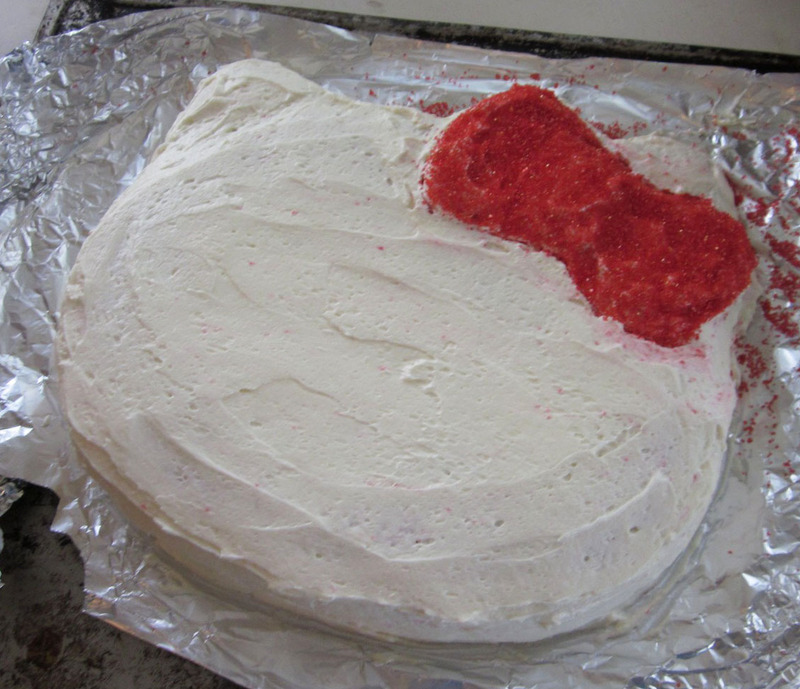 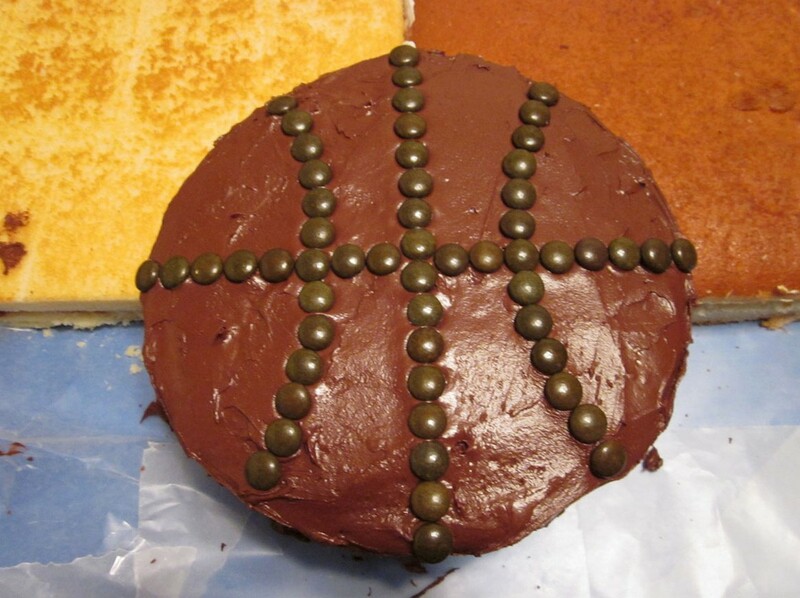 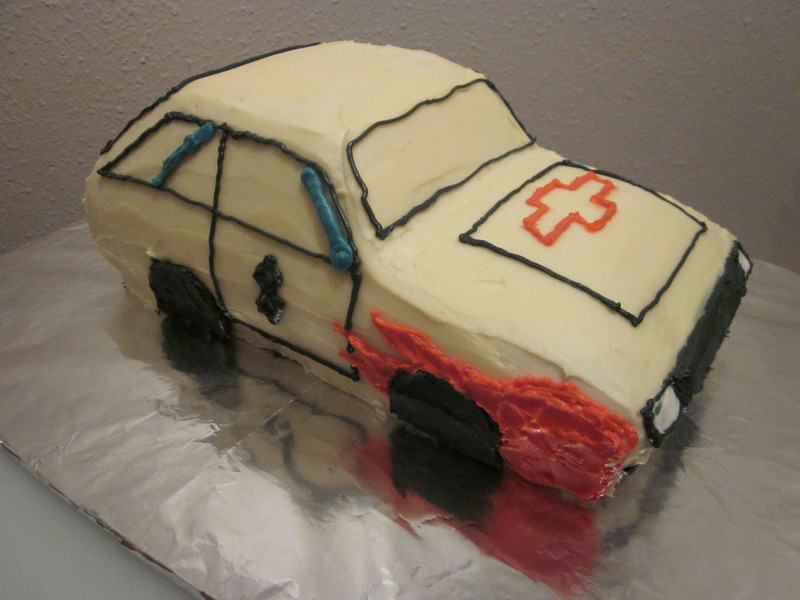 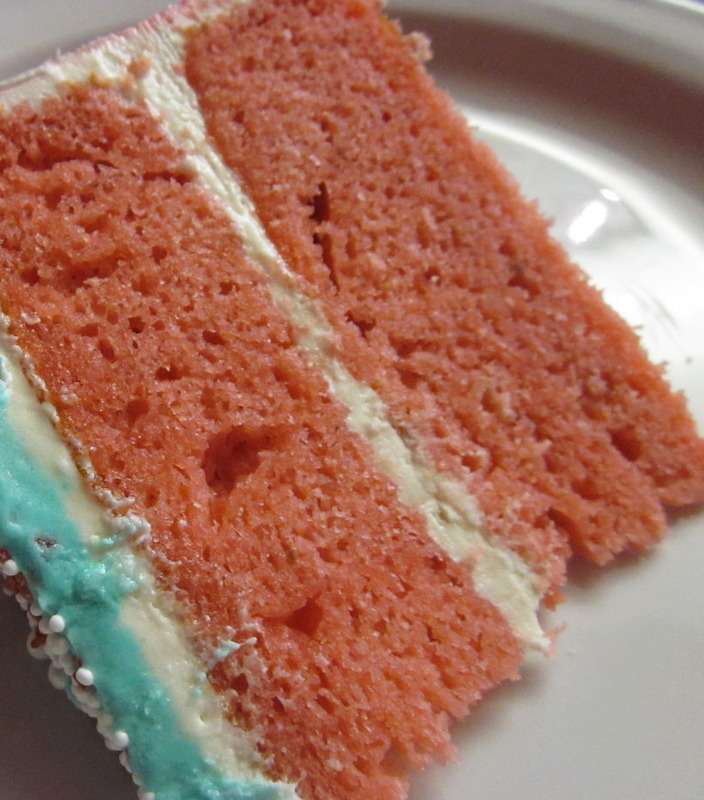 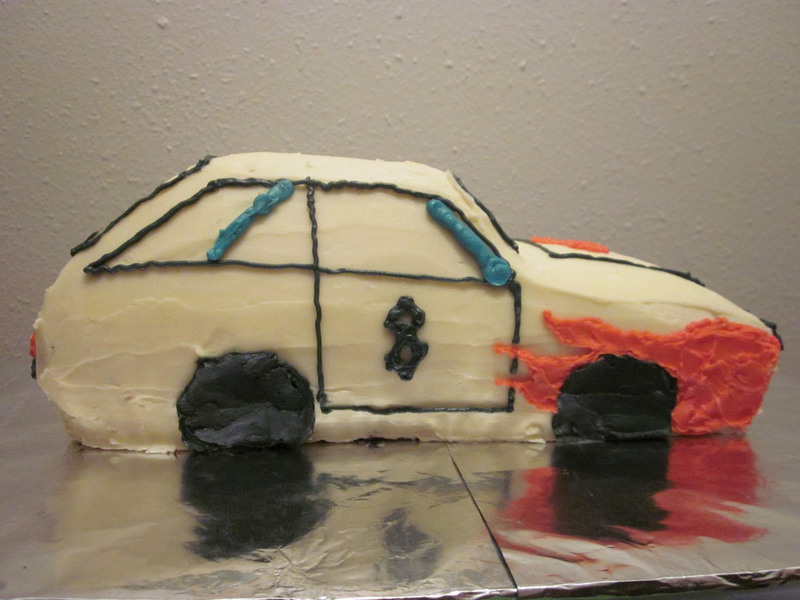 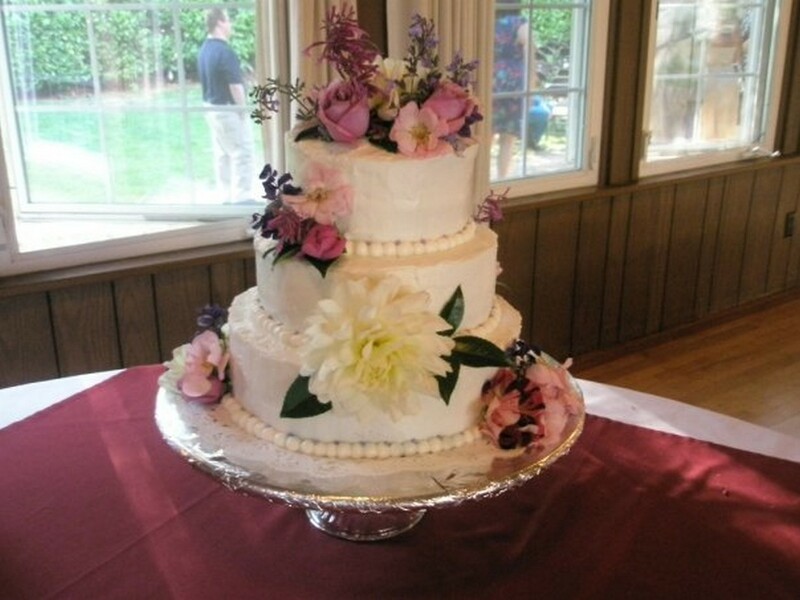 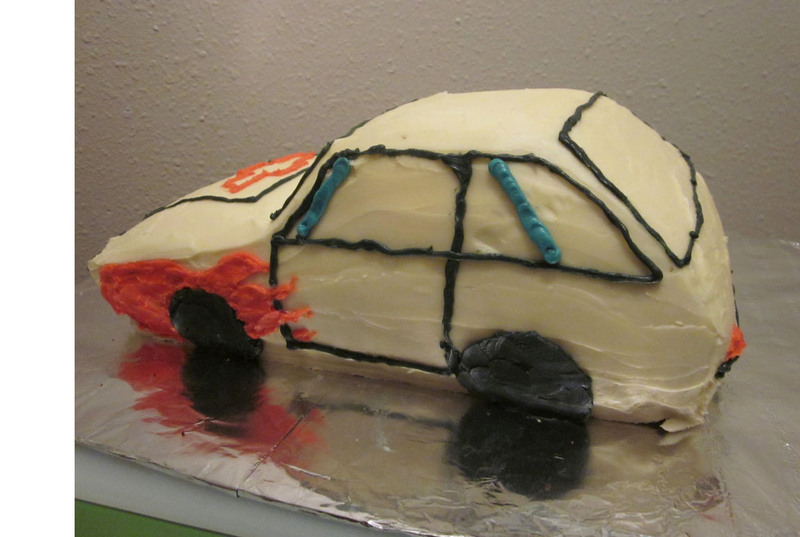 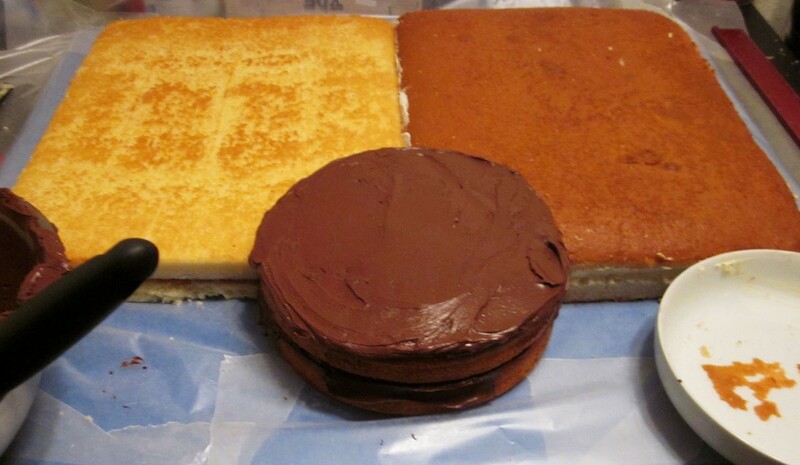 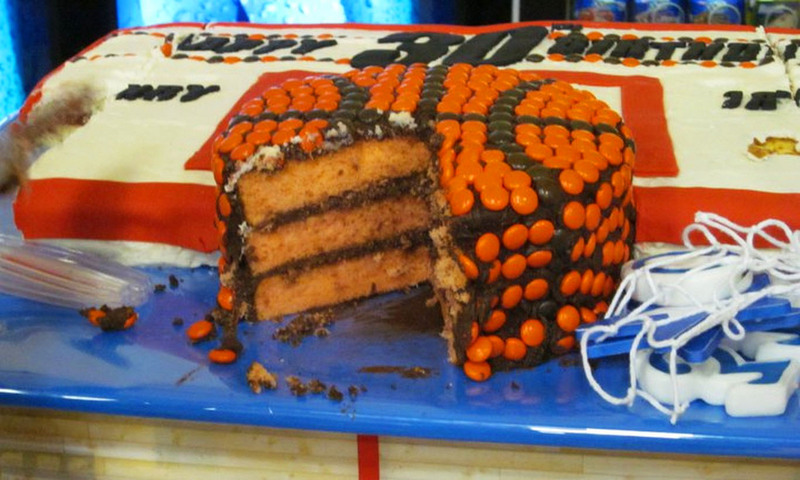 Honestly, if I made this cake again, I would add a ribbon around the bases or something more subtle and simple. 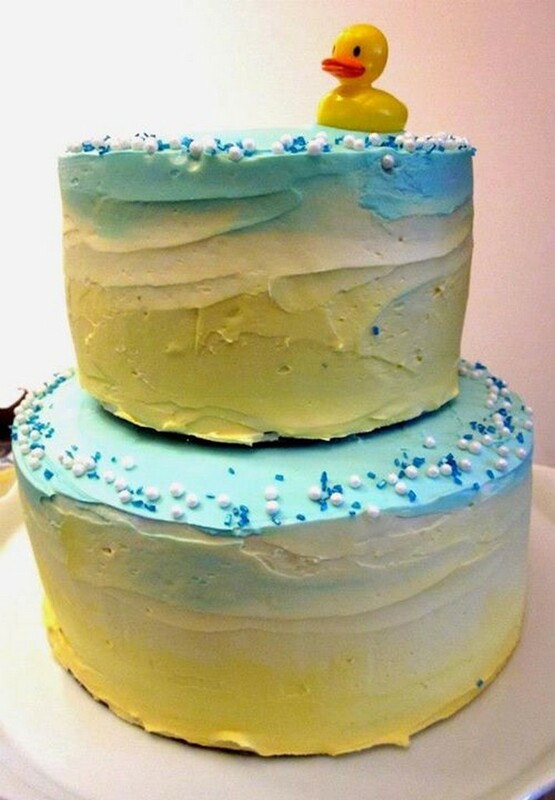 I think it ended up feeling too busy with all the frosting, sprinkles, ducks and what was supposed to be a blue fountain 🙂 One cake was chocolate and the other was my favorite strawberry cake. 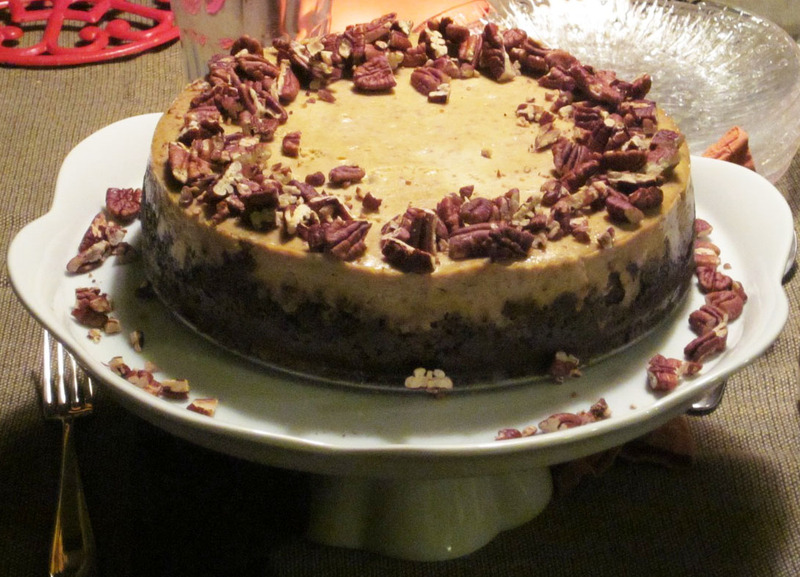 This was a delicious and perfectly decadent Thanksgiving Holiday dessert 🙂 I found the recipe on myrecipes.com. 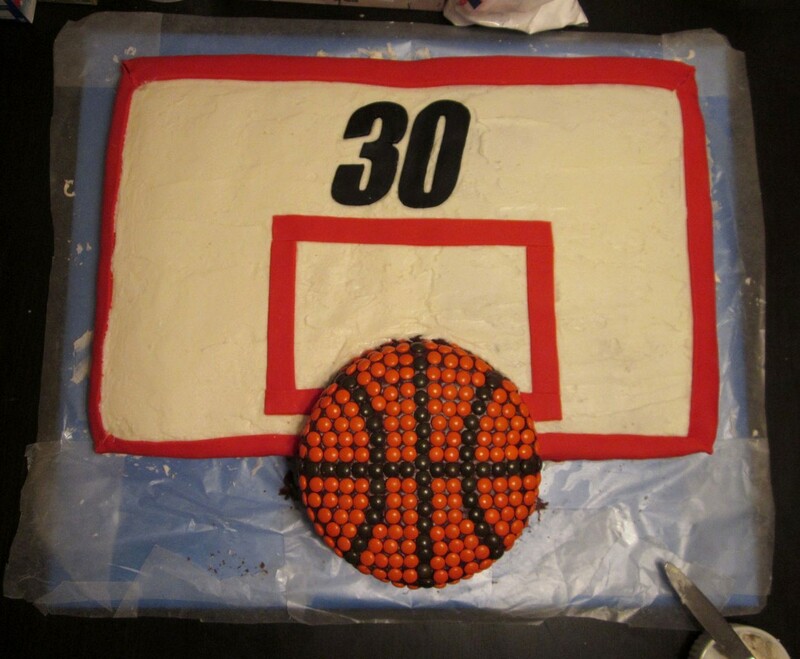 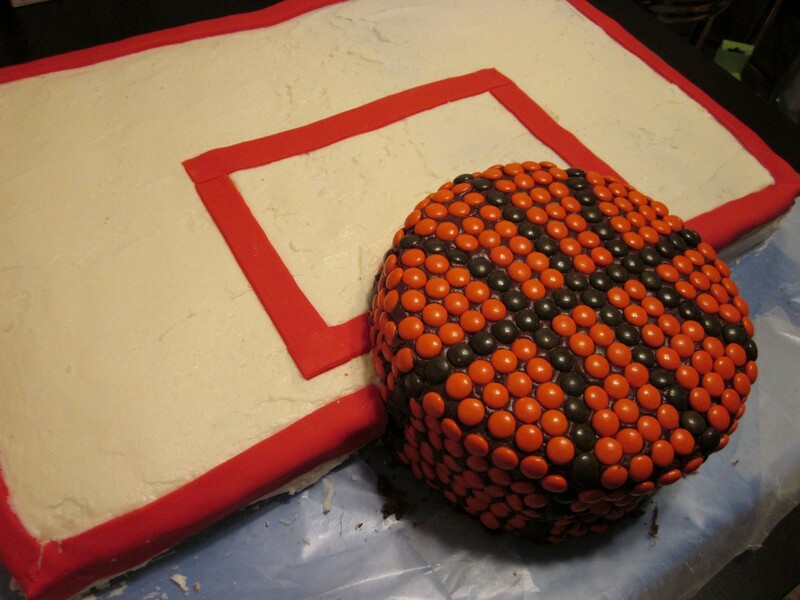 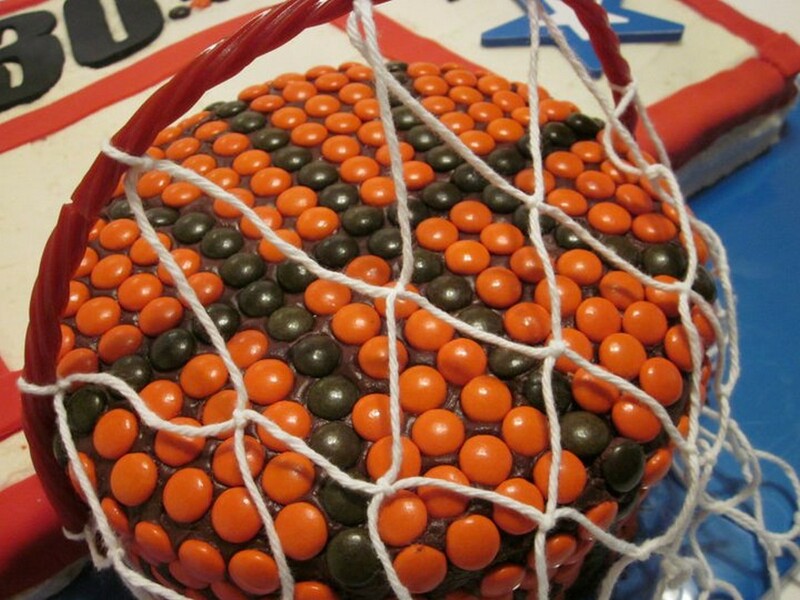 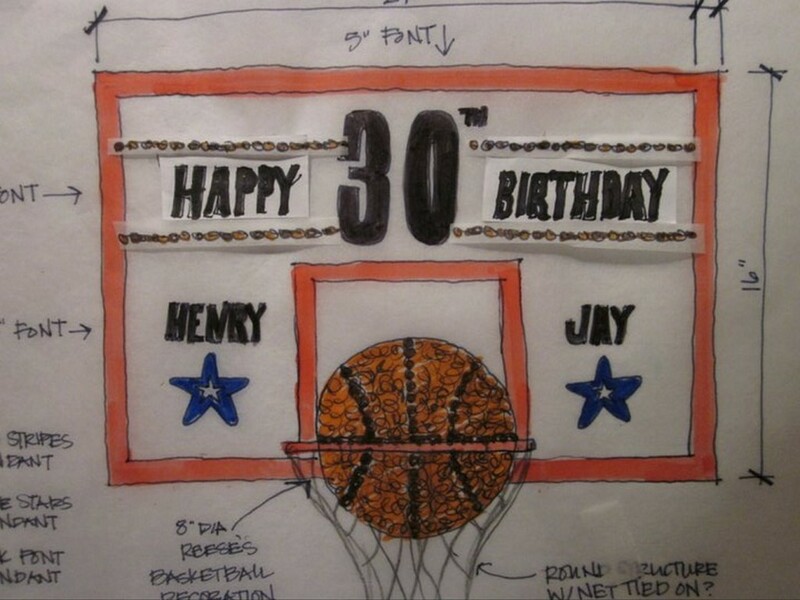 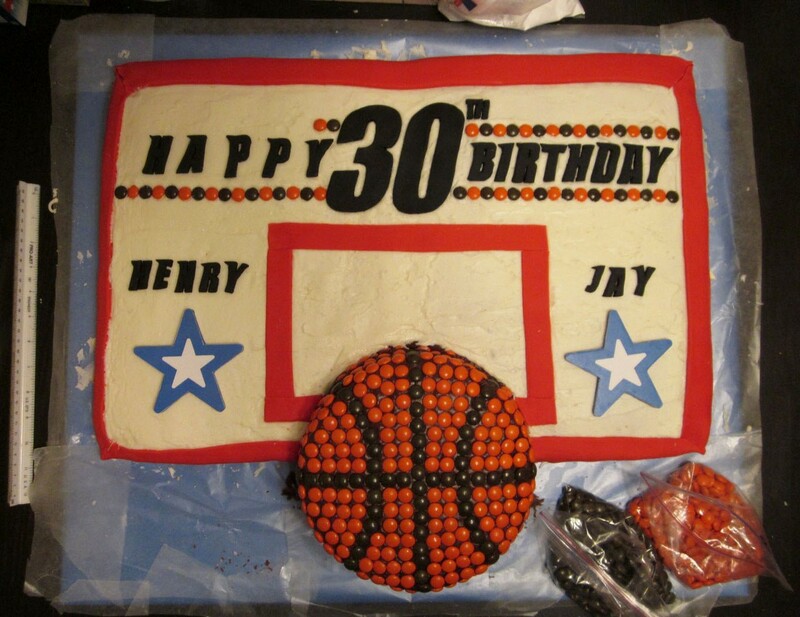 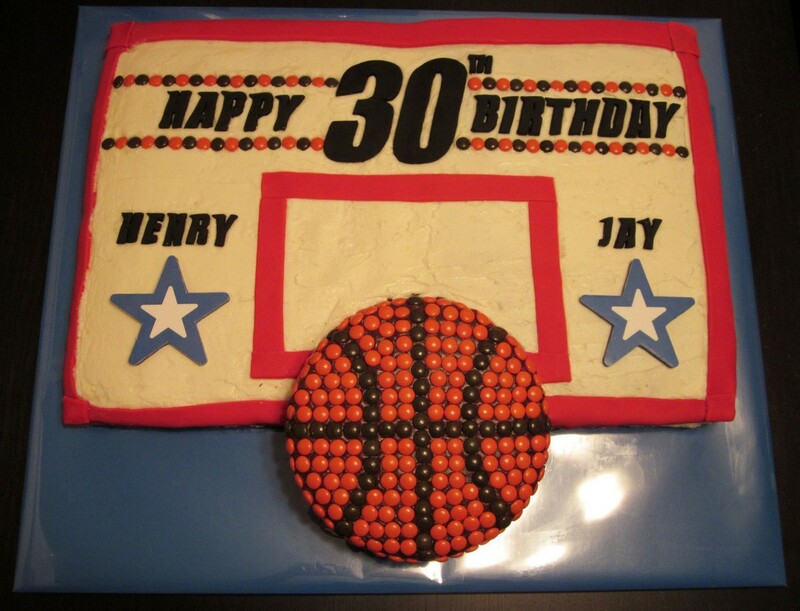 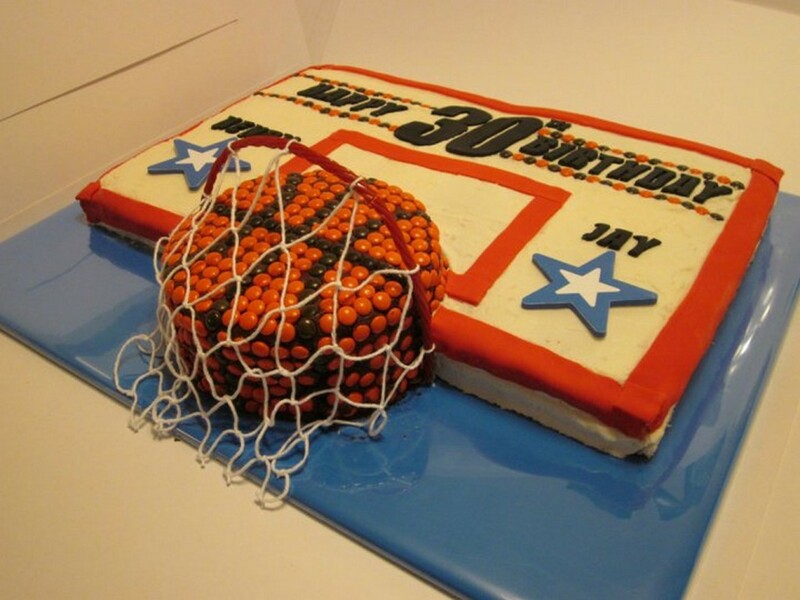 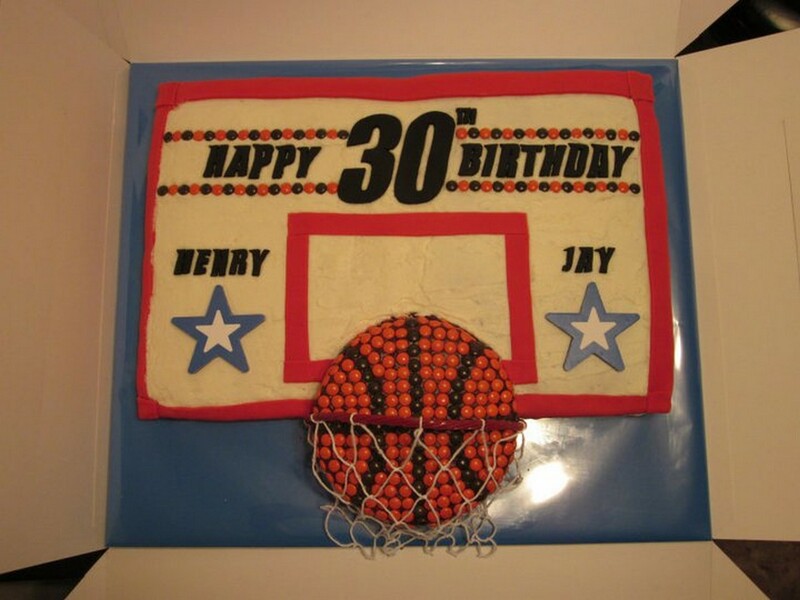 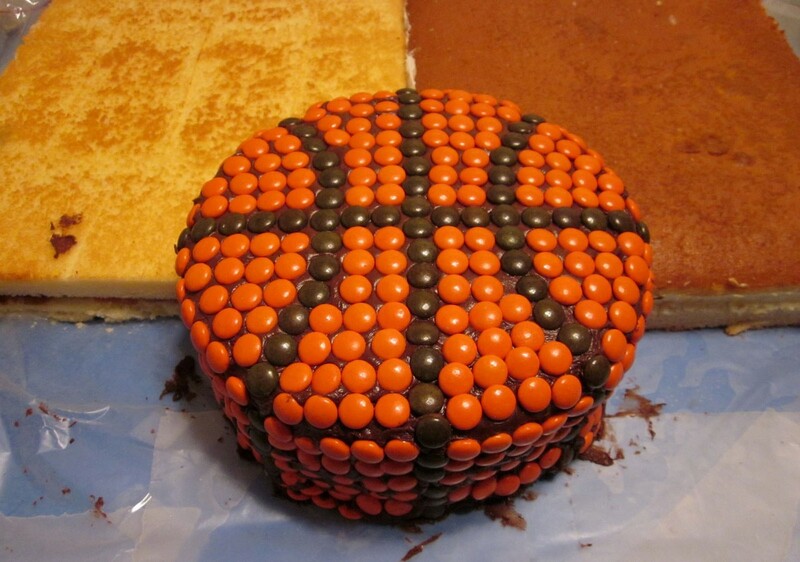 My friend, Lia, asked me to help her design and bake a cake that would fit with a themed ‘1981 NBA All-Star Games Throw Back’ surprise birthday party for her husband and brother-in-law. 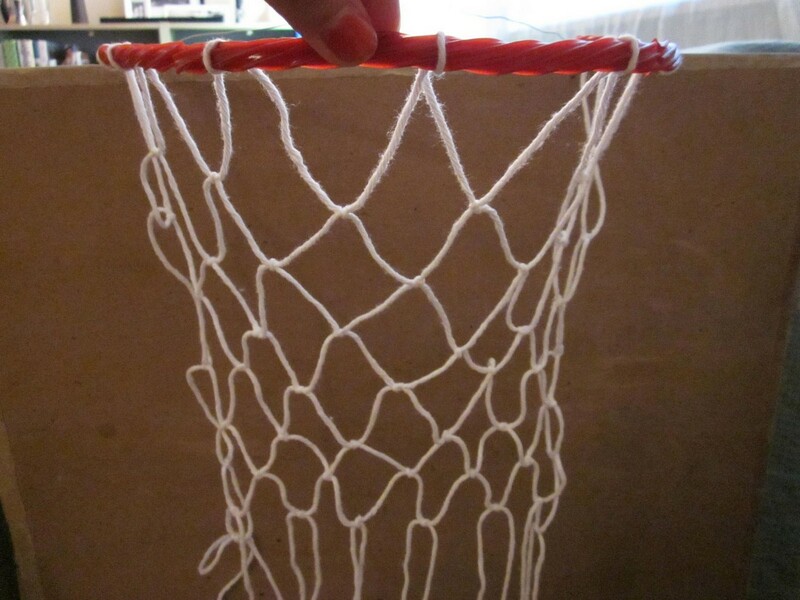 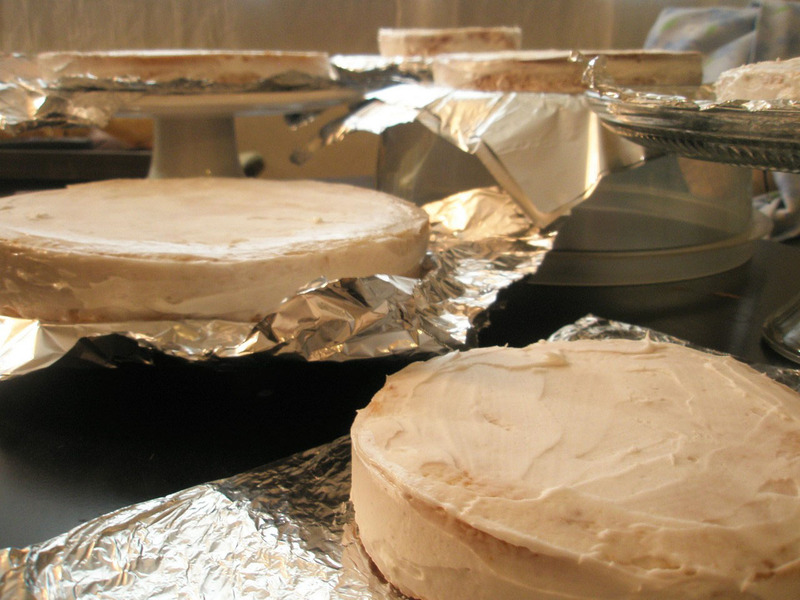 Finished product – View from the top! 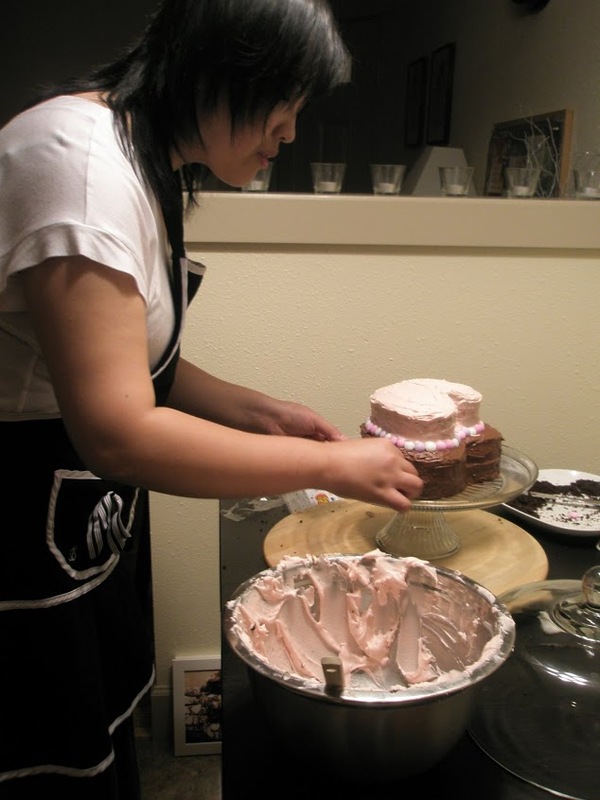 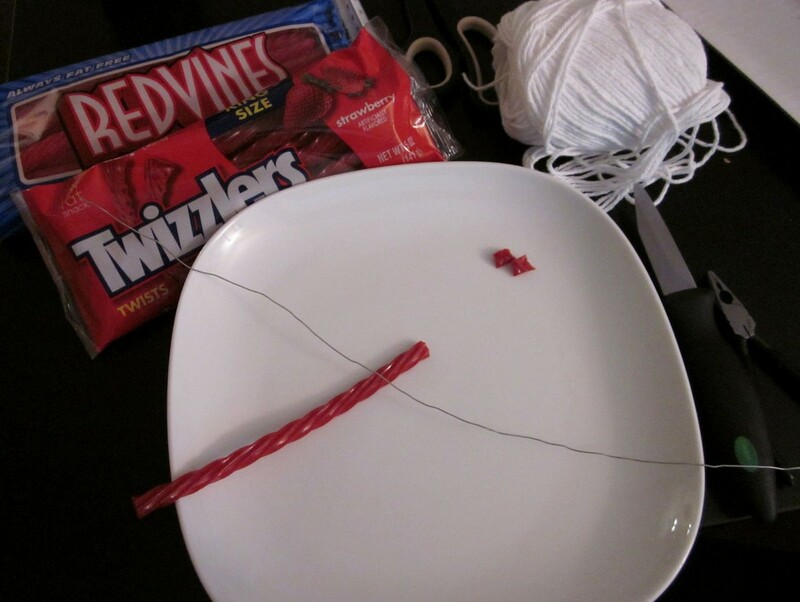 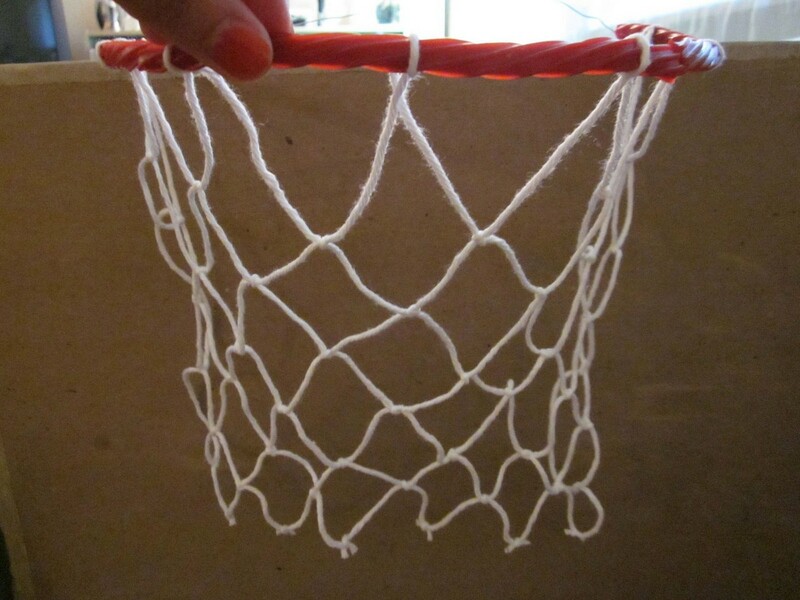 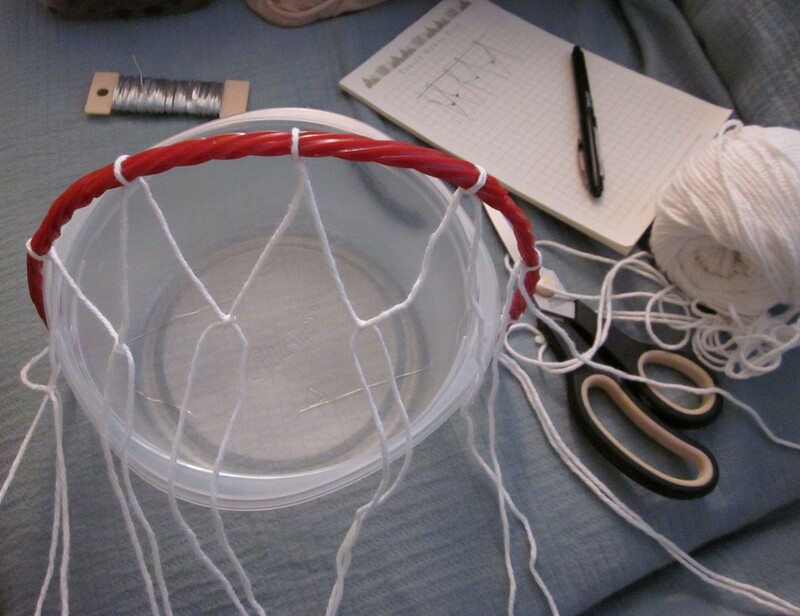 This was my first cake using fondant for decoration, and I also used licorice strung on a wire for the rim, and wove the net out of yarn. 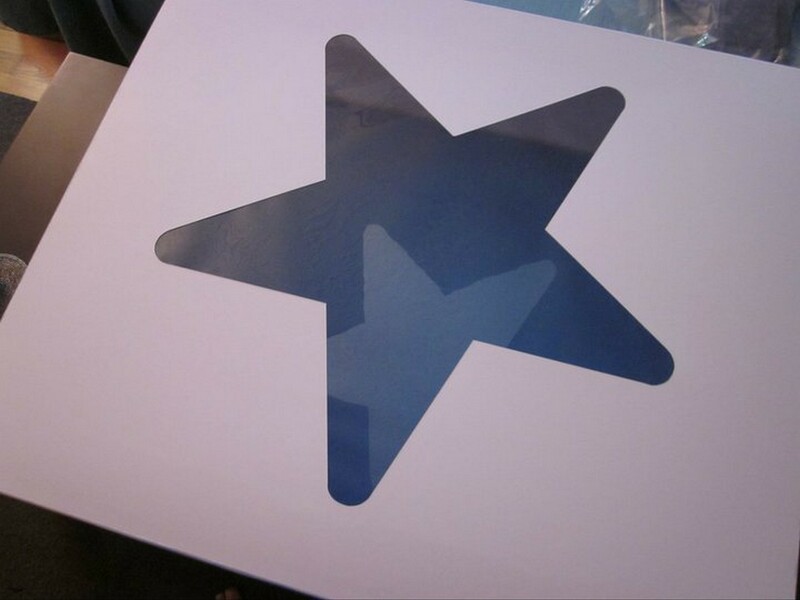 We couldn’t find any ready-made boxes big enough, so Lia spent a long time designing and making the beautiful and gigantic box with the blue base and transparent star on top. 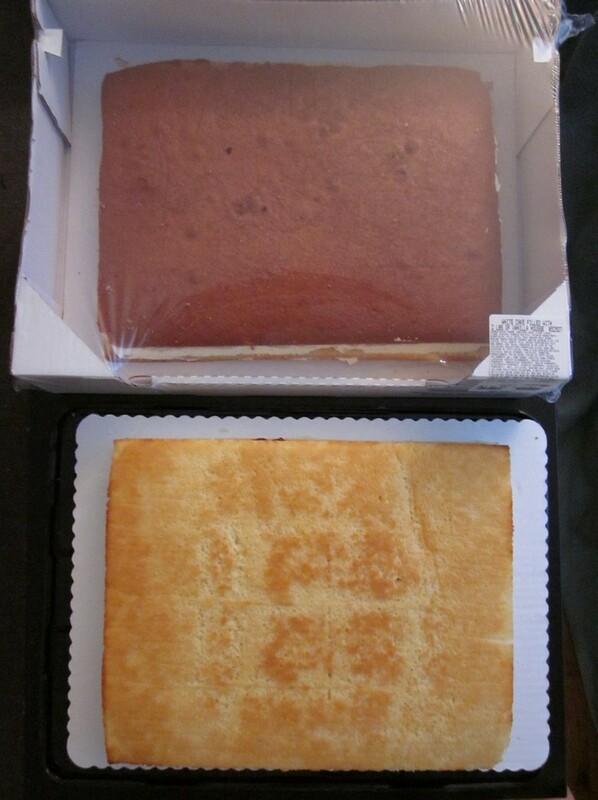 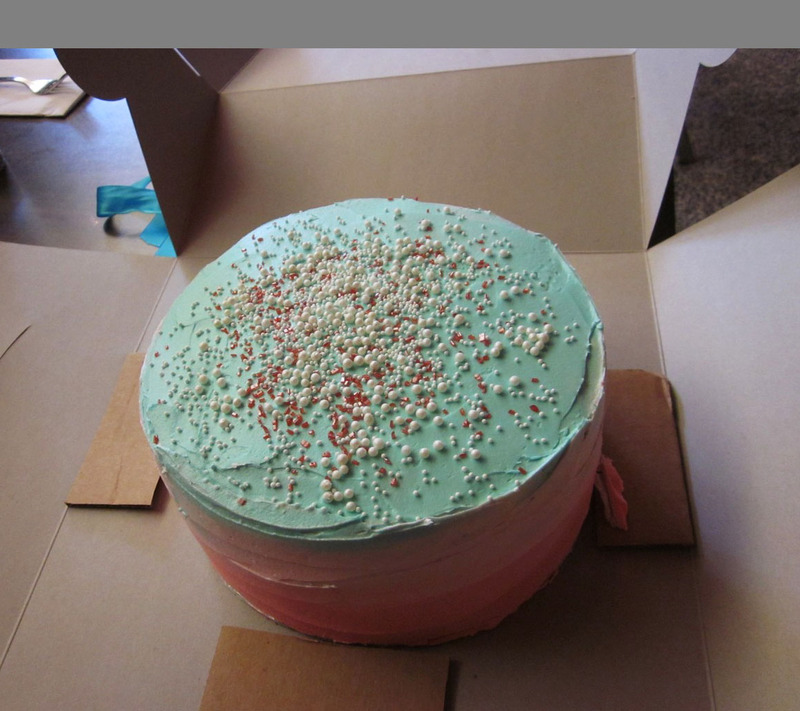 The whole thing–box with cake inside–was so bulky, awkward and heavy by the time the finished cake was inside of it, I had to ask my neighbor to help me carry it out to my car! 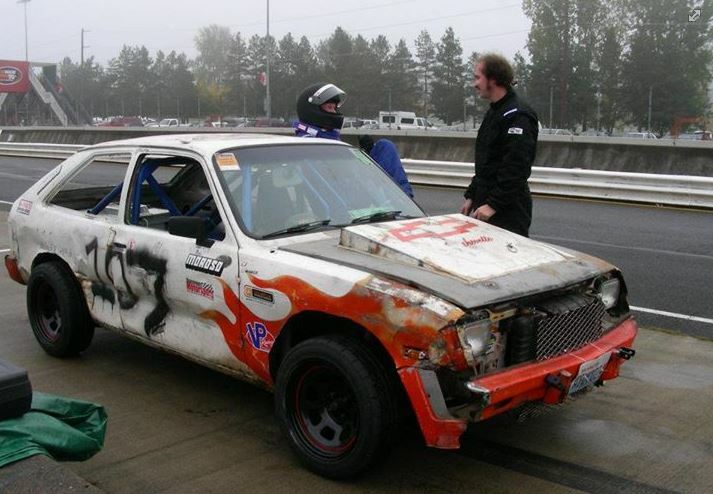 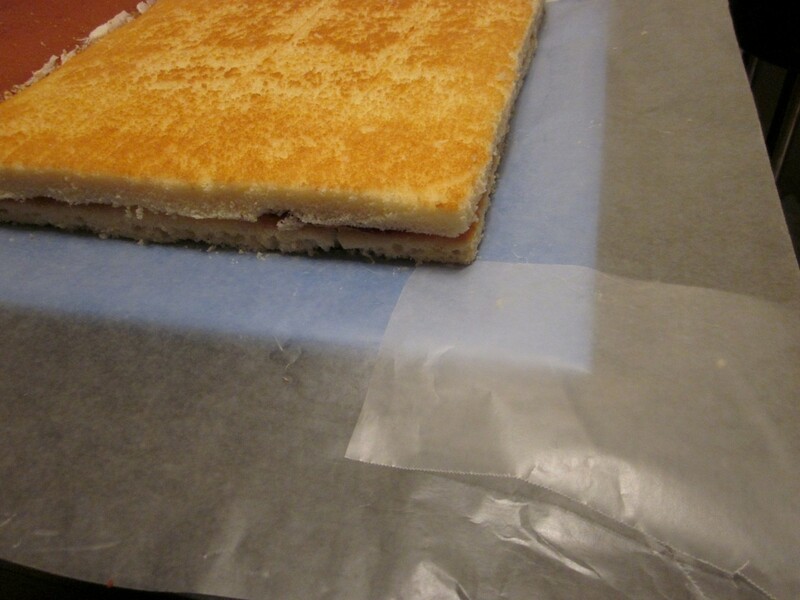 Let’s take a look at how we got there………………………………..
Costco didn’t give us a full sheet like we were expecting…. 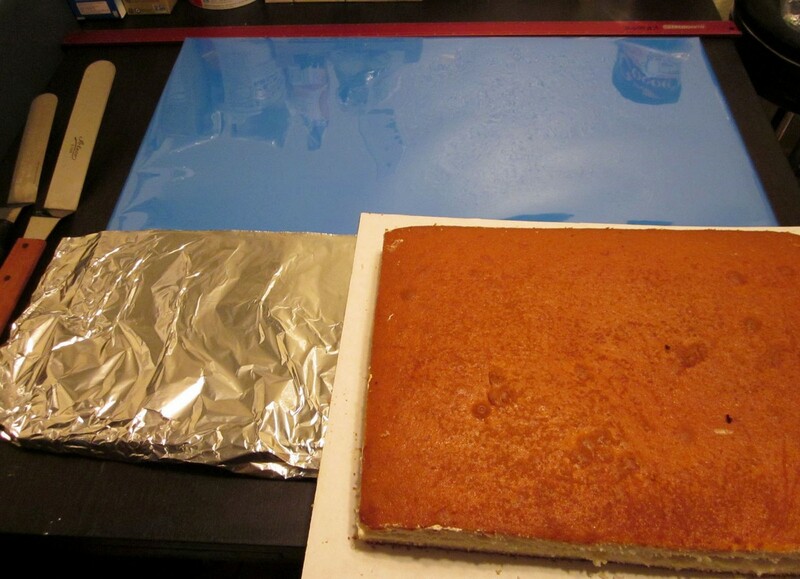 so we had to run to Fred Meyer and pick up another half sheet so that we had a full sheet size. 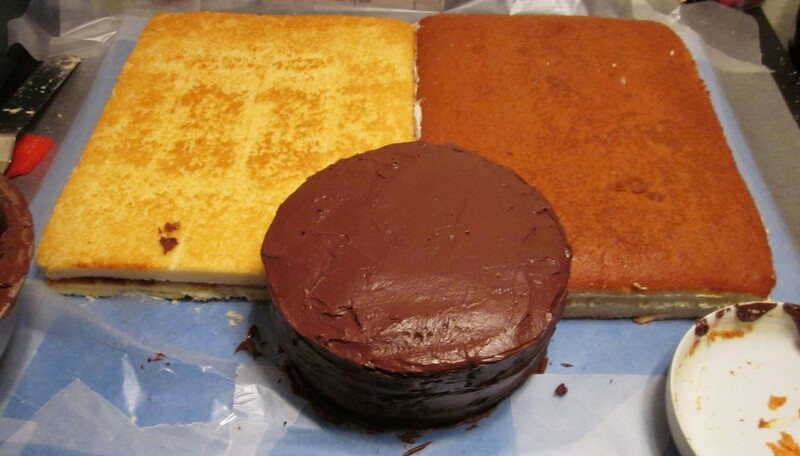 Variety in flavors isn’t bad, right?? 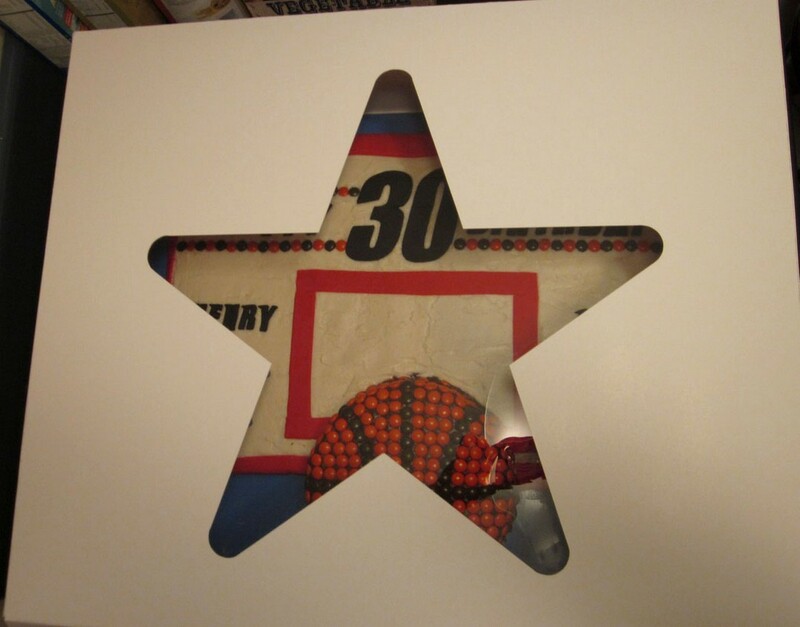 In the box, ready to go! 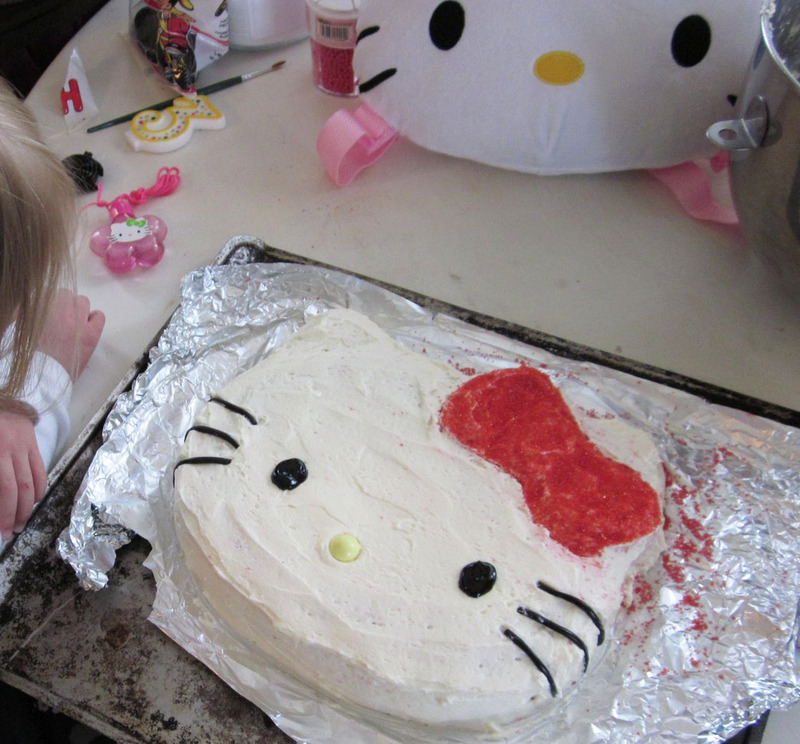 Good thing Hello Kitty will be wearing full hair and make-up for the party! 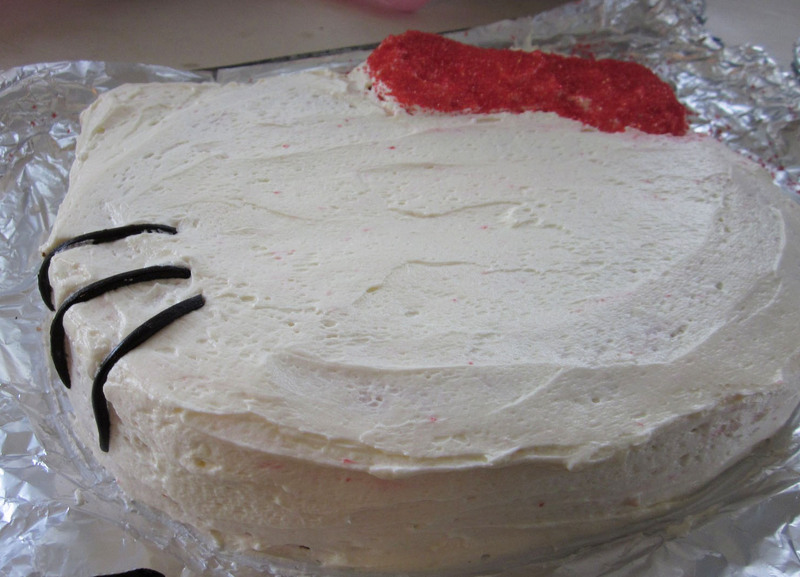 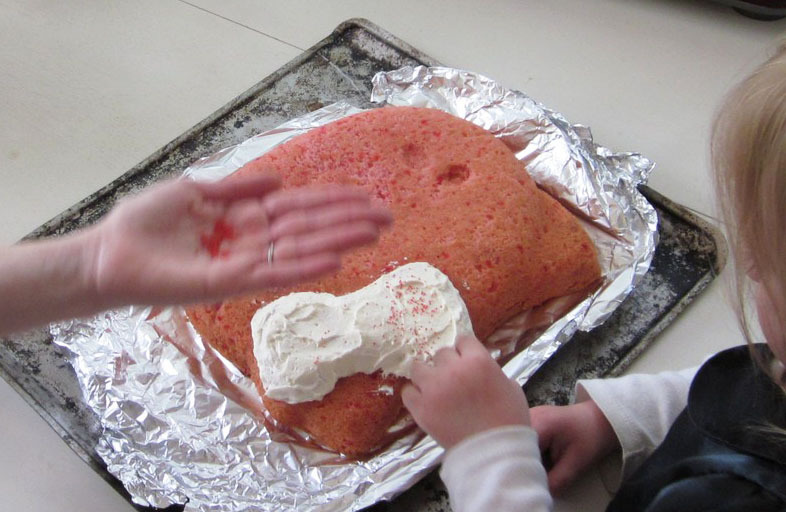 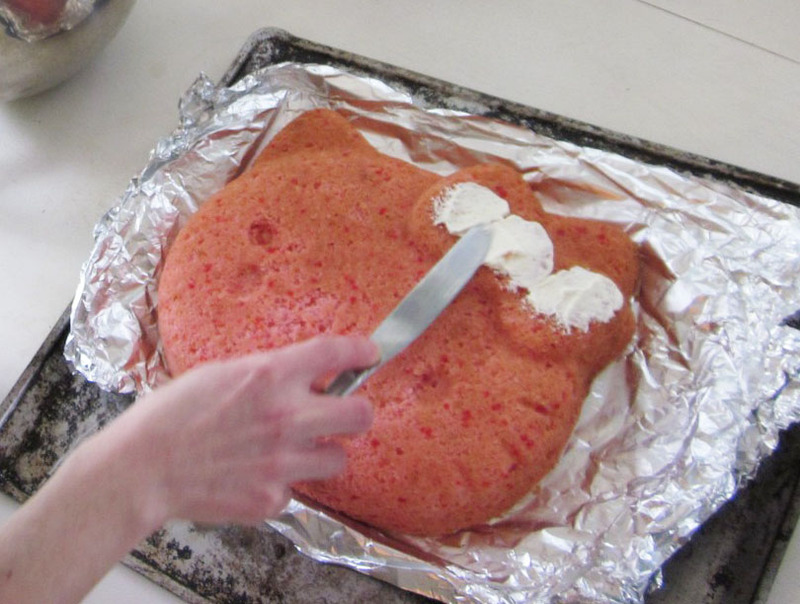 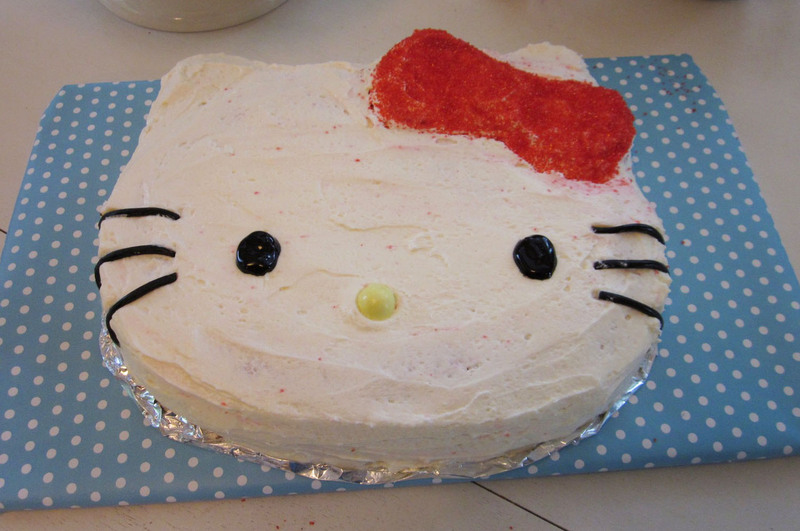 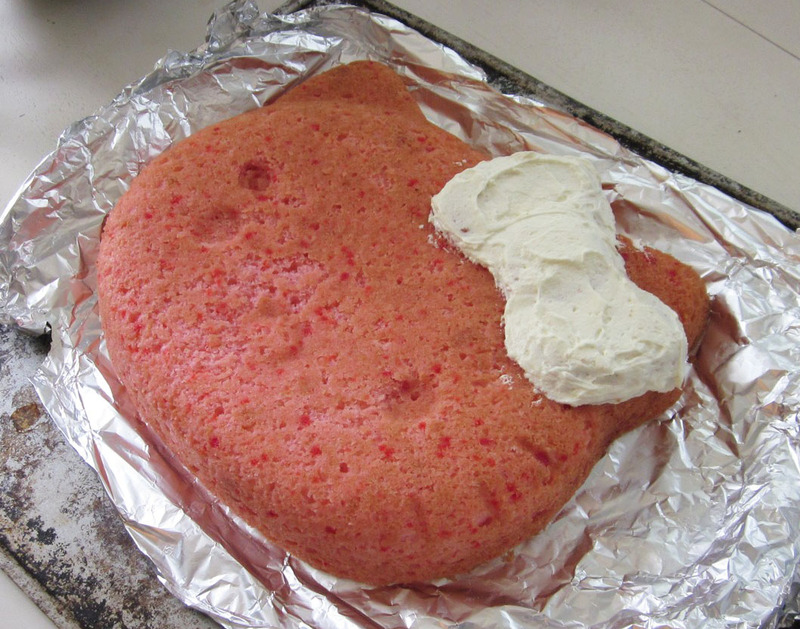 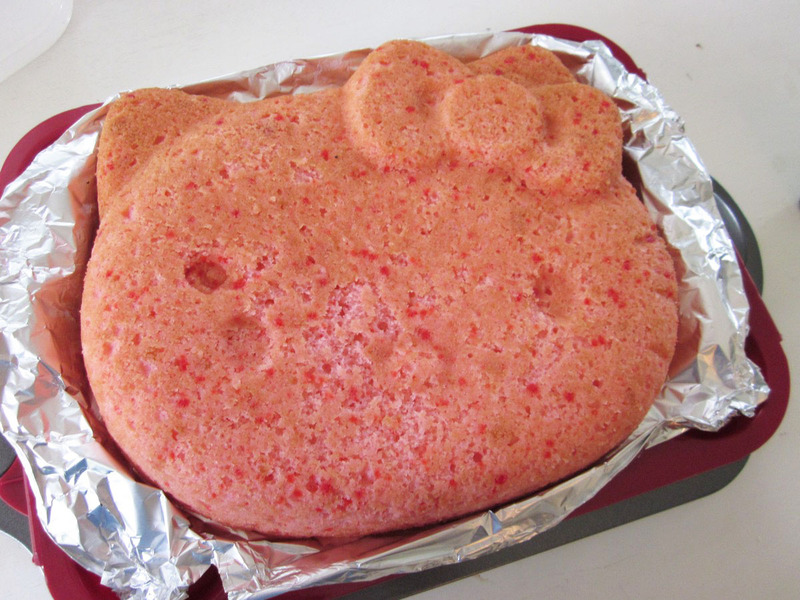 Foundation layer complete… It was difficult to frost the rest of Hello Kitty’s face without getting her bow in it! 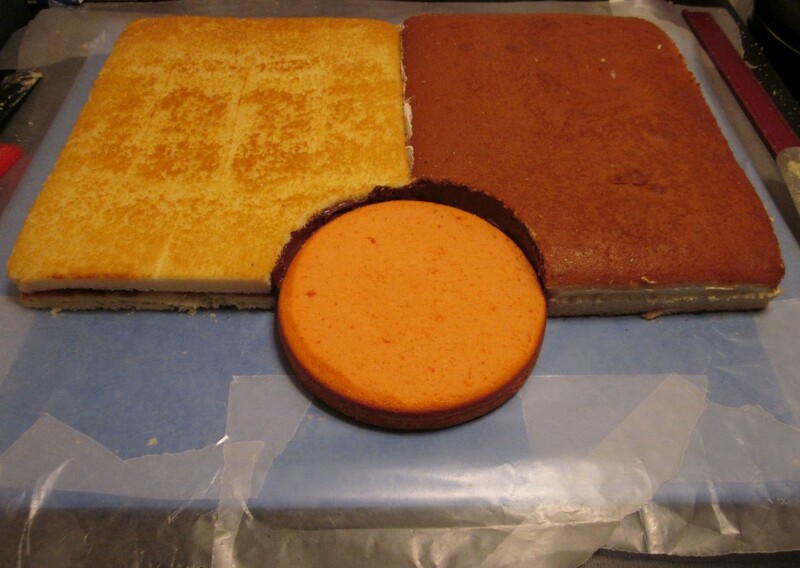 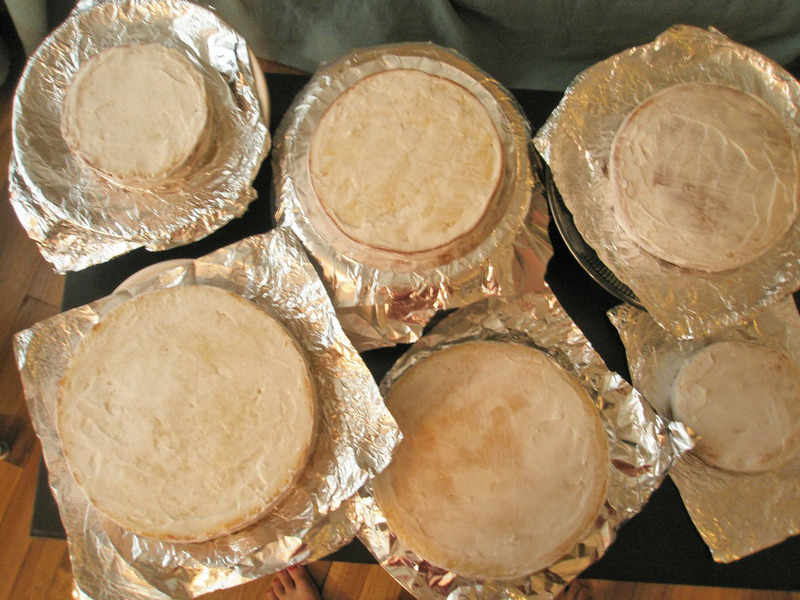 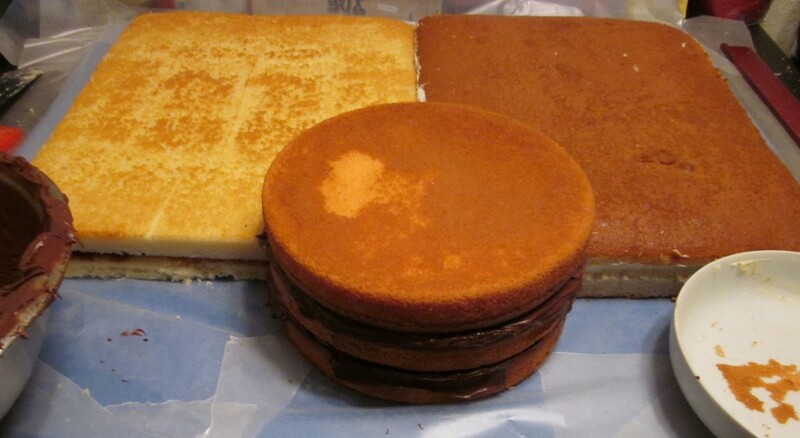 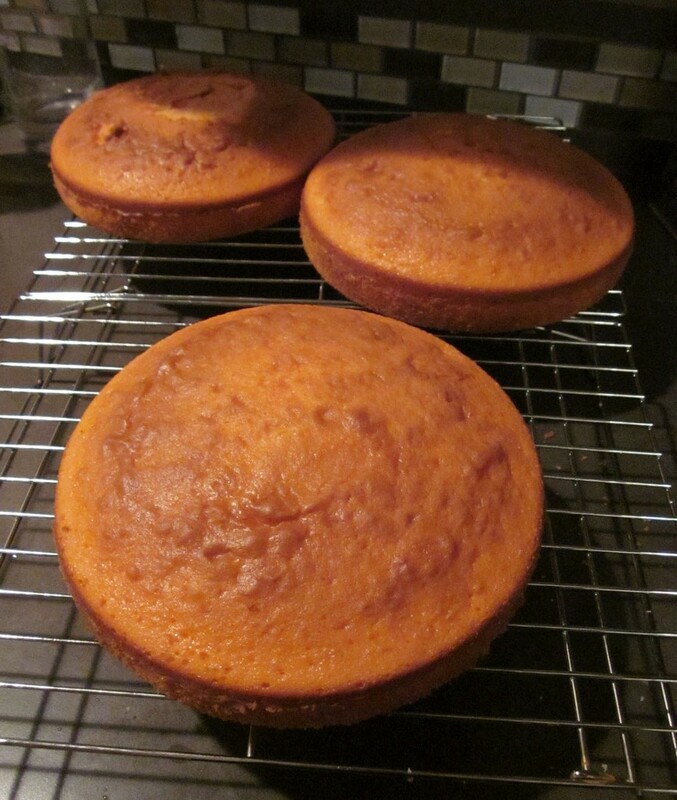 This cake required a test run… i made these cakes, froze them, crumb-coated them, and froze again until I had time to test assemble… here they are thawing out… cakes everywhere! 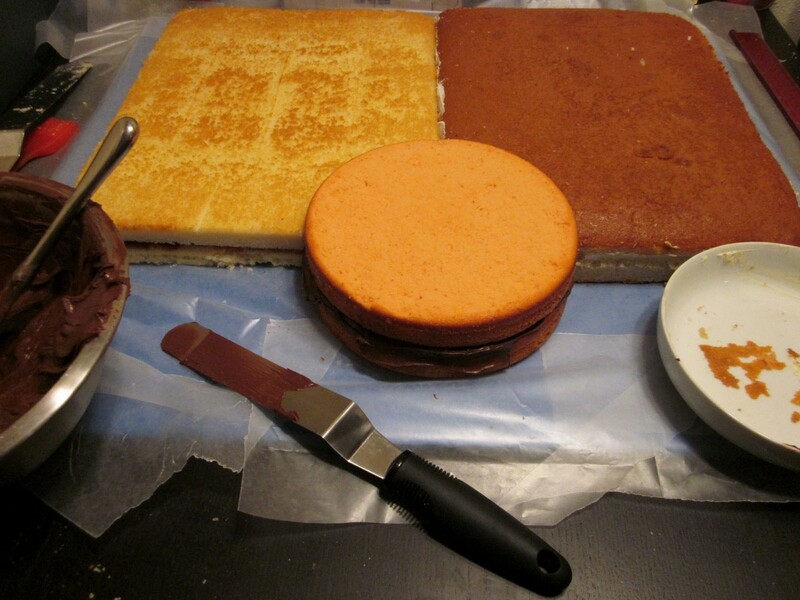 Next time, I would put more passion into the filling and give myself a little more time for assembling and adding finishing touches. 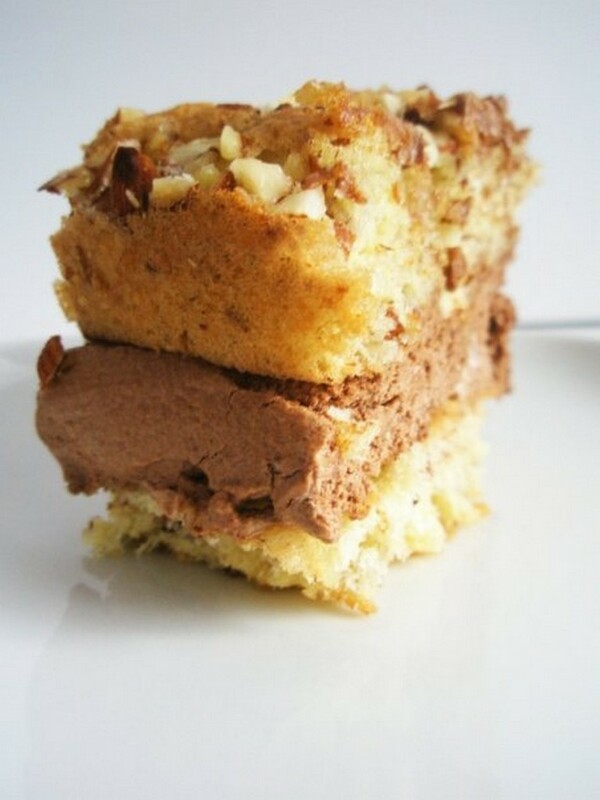 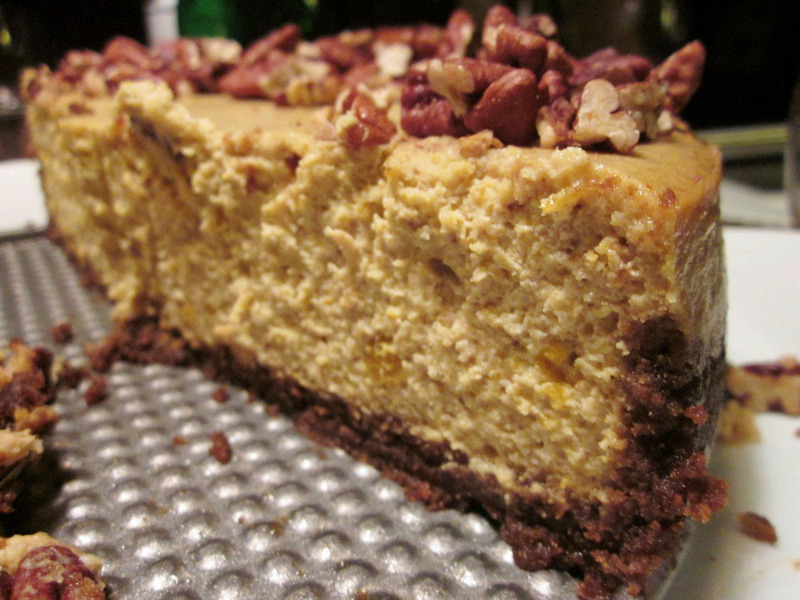 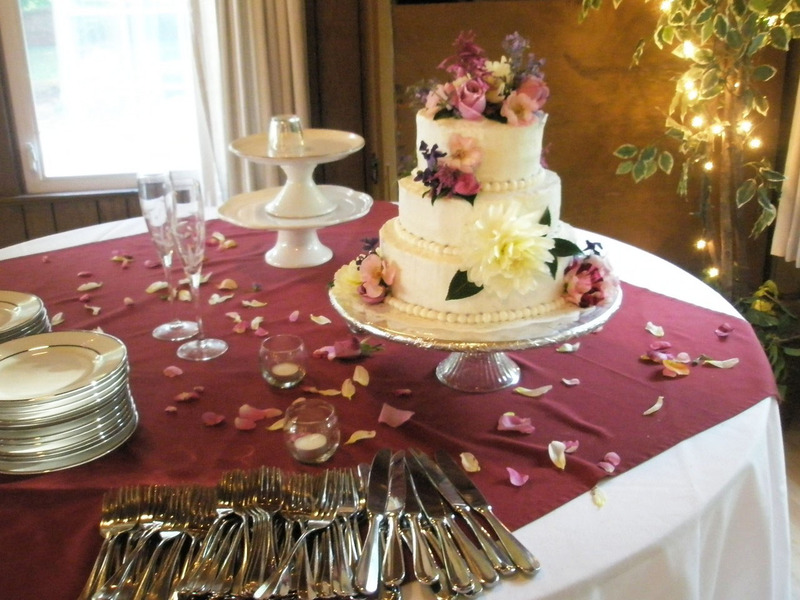 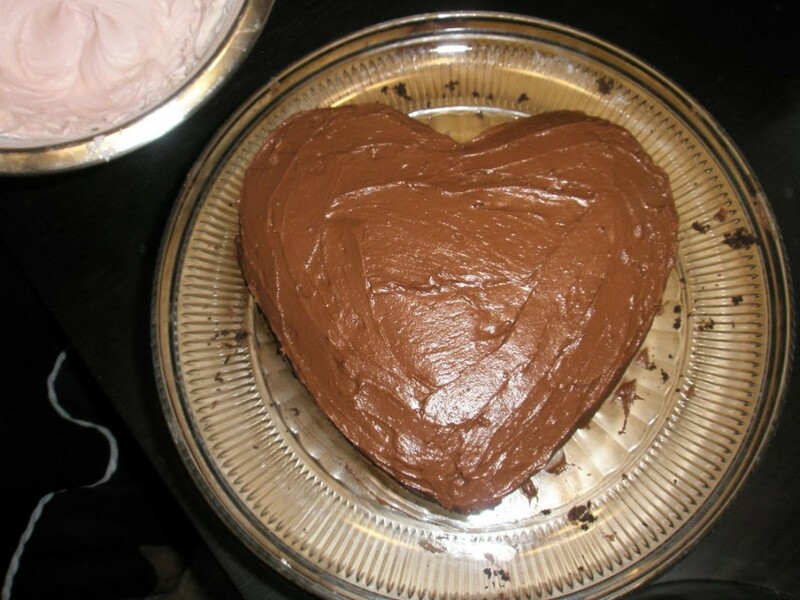 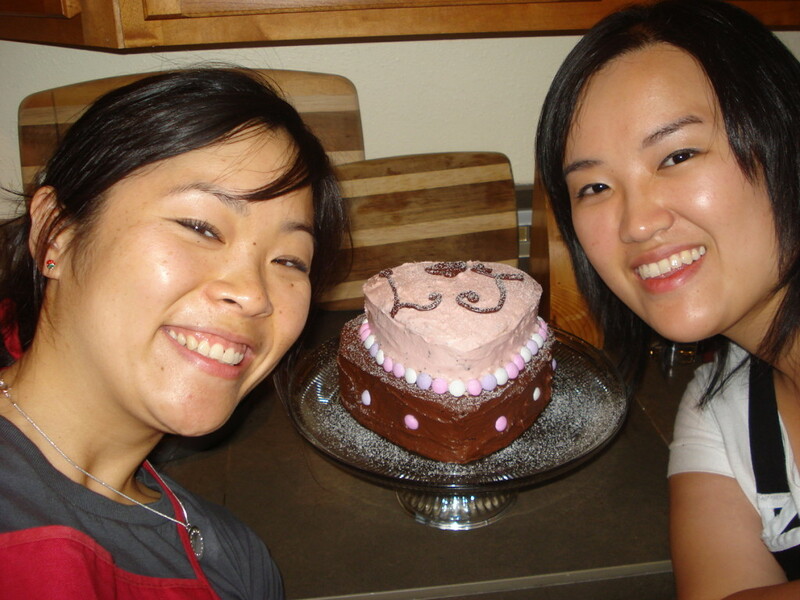 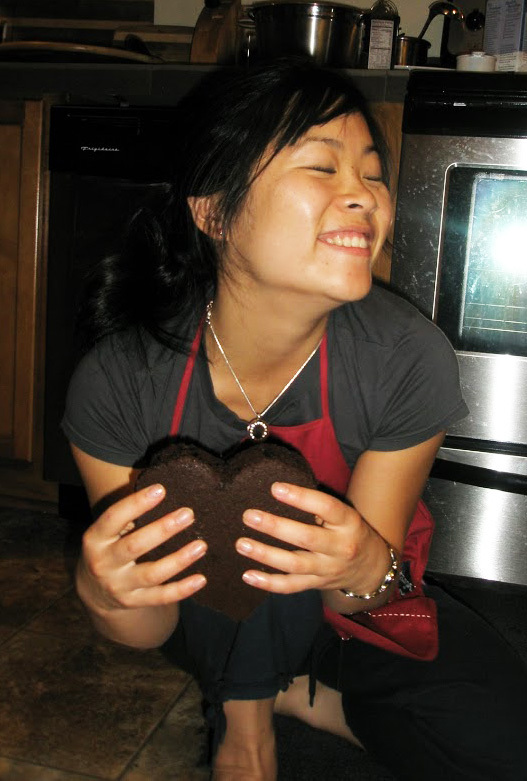 This cake falls within one of the first handfuls that I made, and my friend Suzie and I made it together! 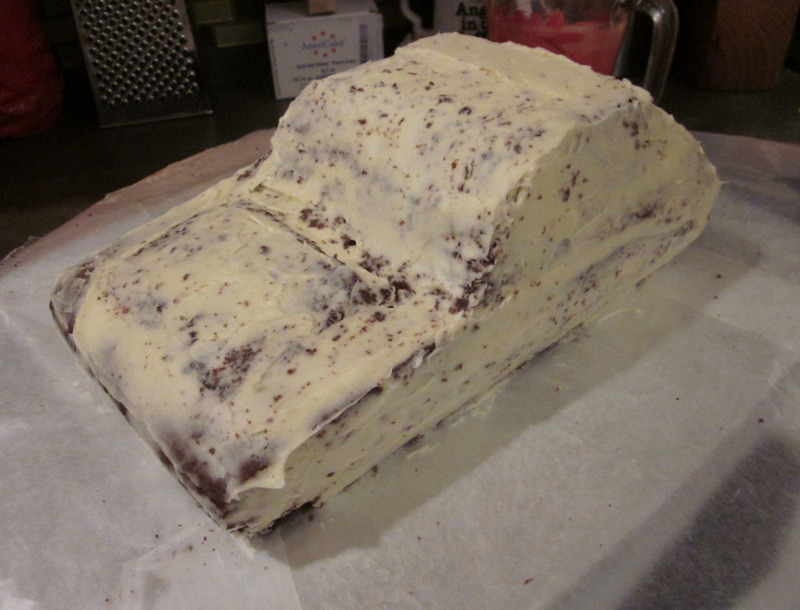 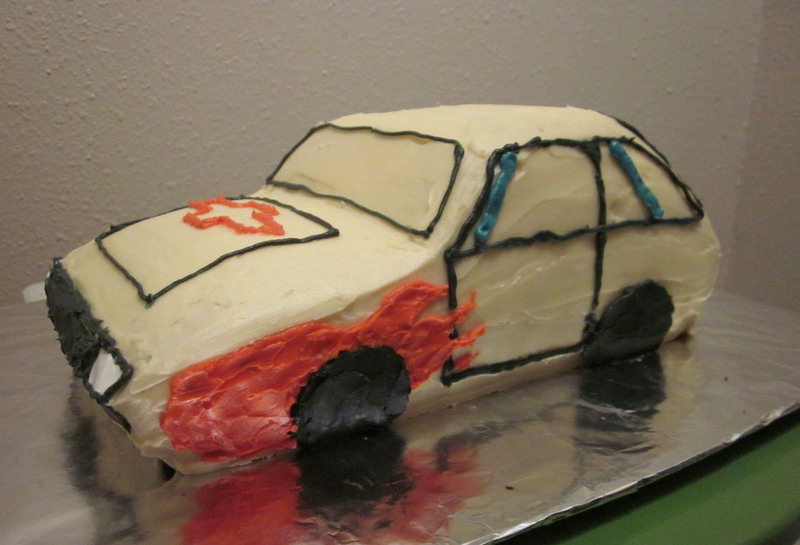 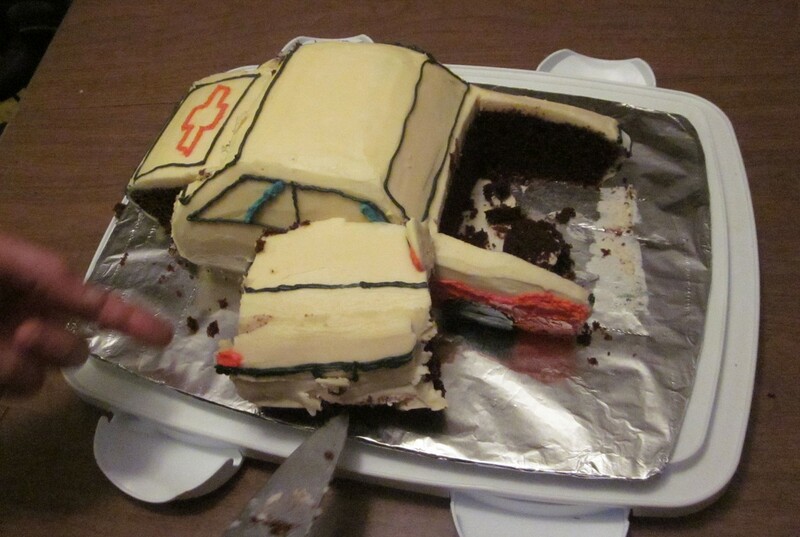 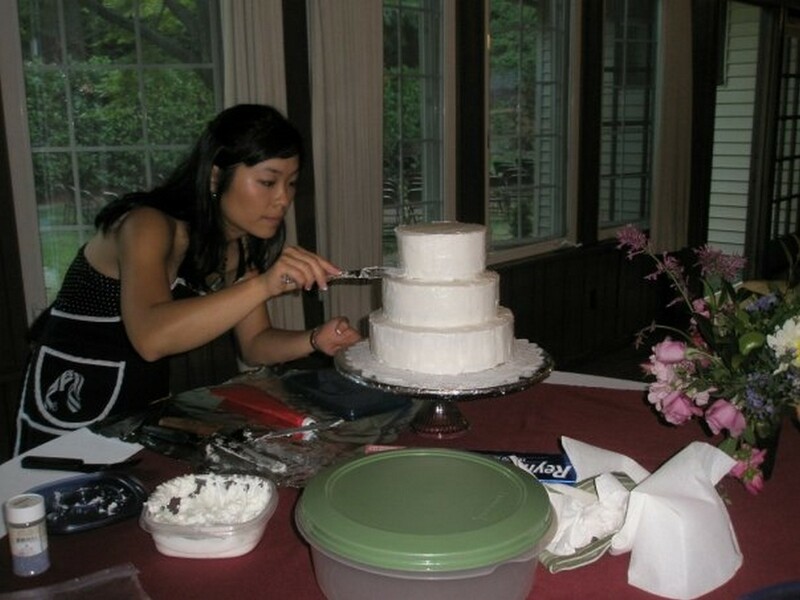 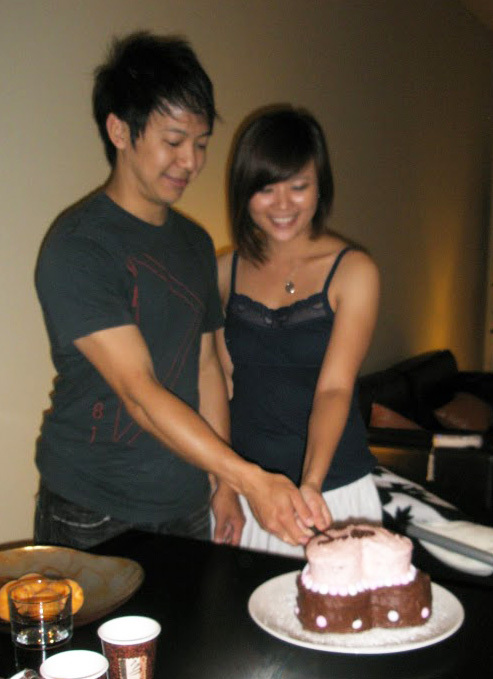 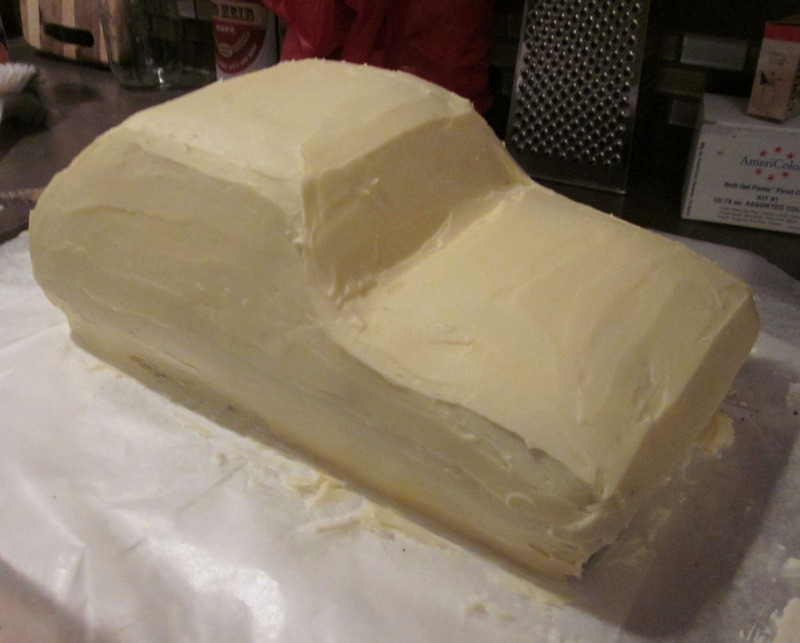 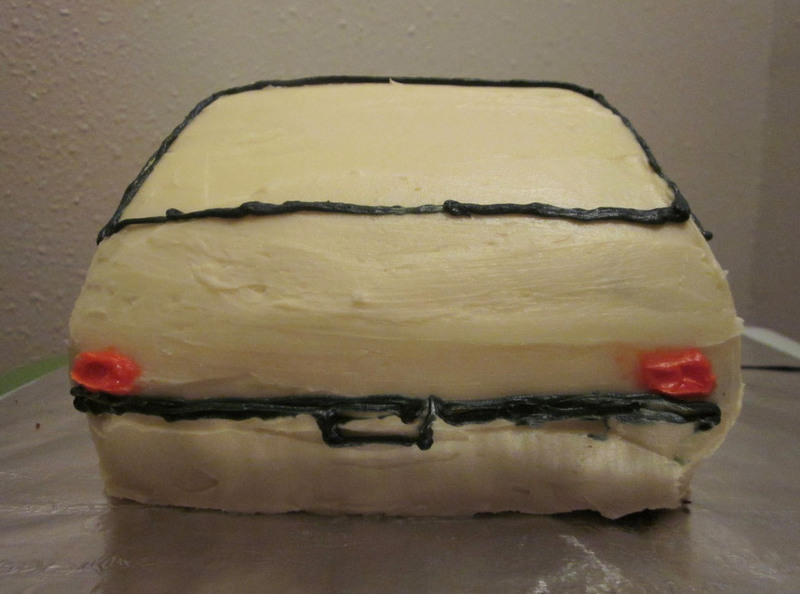 I remember the summer was a very very hot one, and we slaved away on this cake for hours into the night so that we could take it with us the next day to our friend’s engagement party. 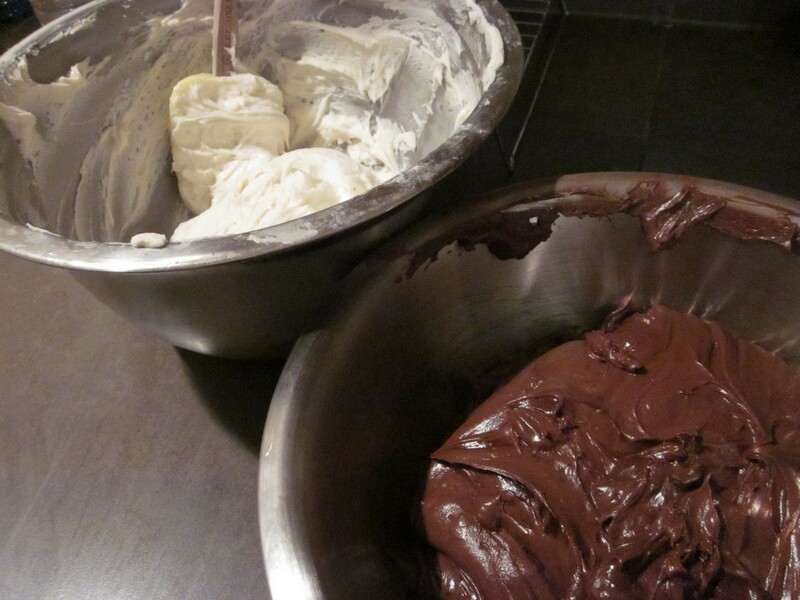 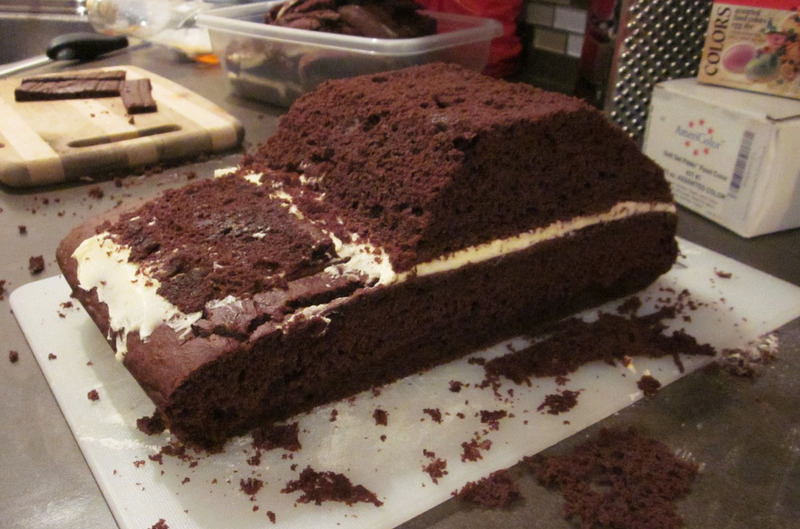 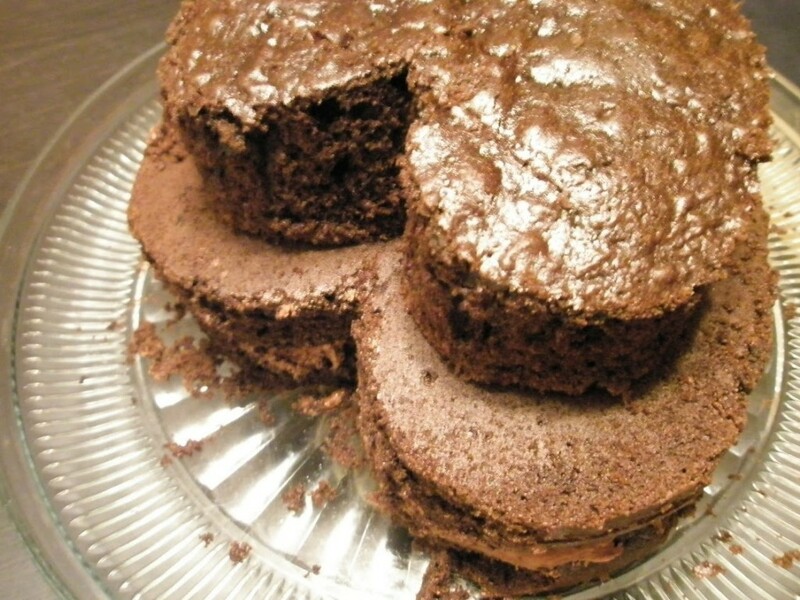 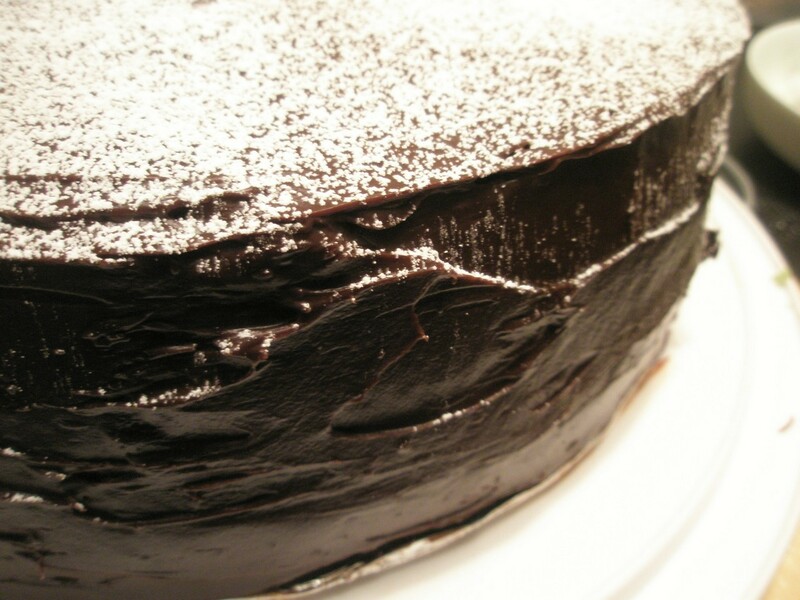 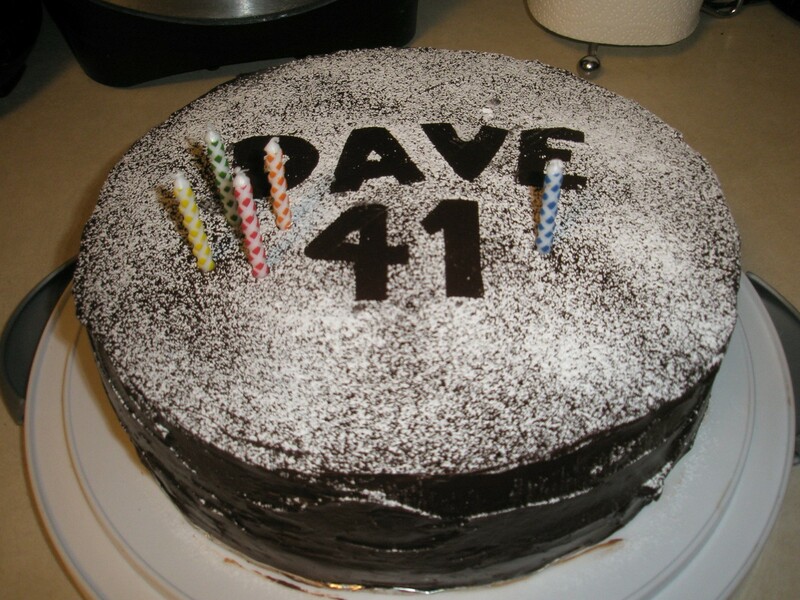 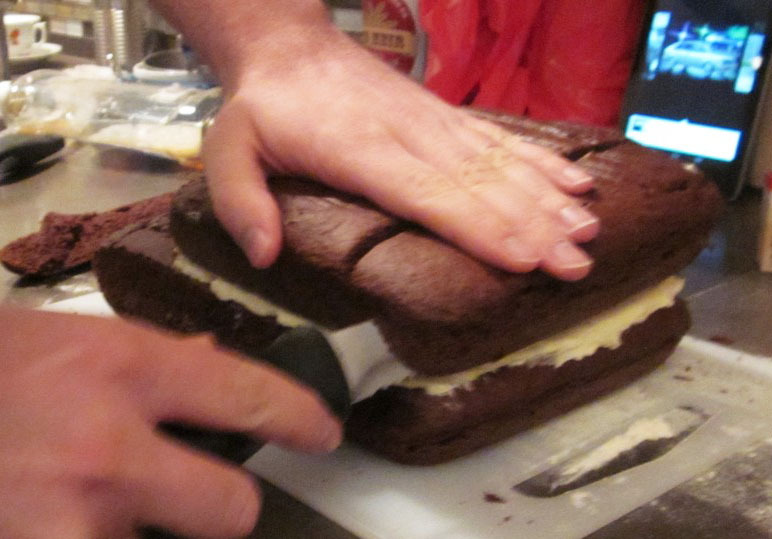 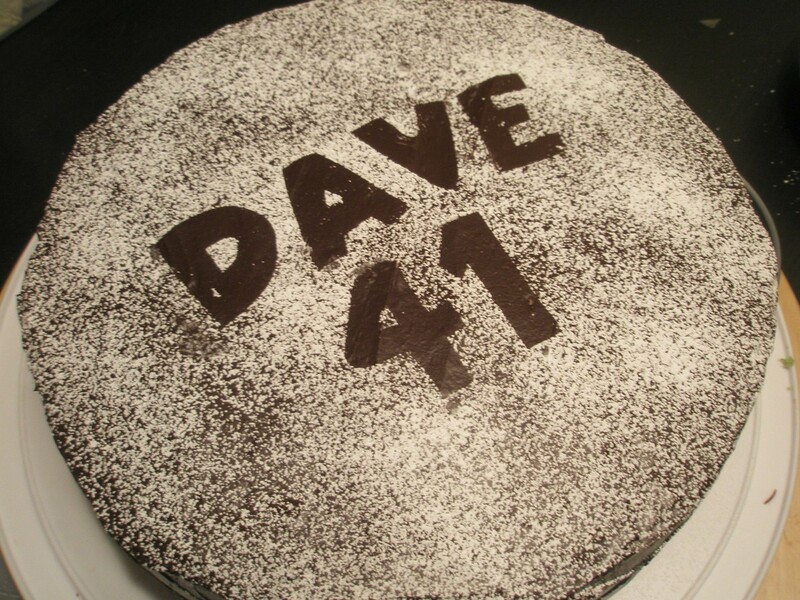 I baked a decadent chocolate cake for my brother’s 41st birthday… I wish I remembered what recipe I used!